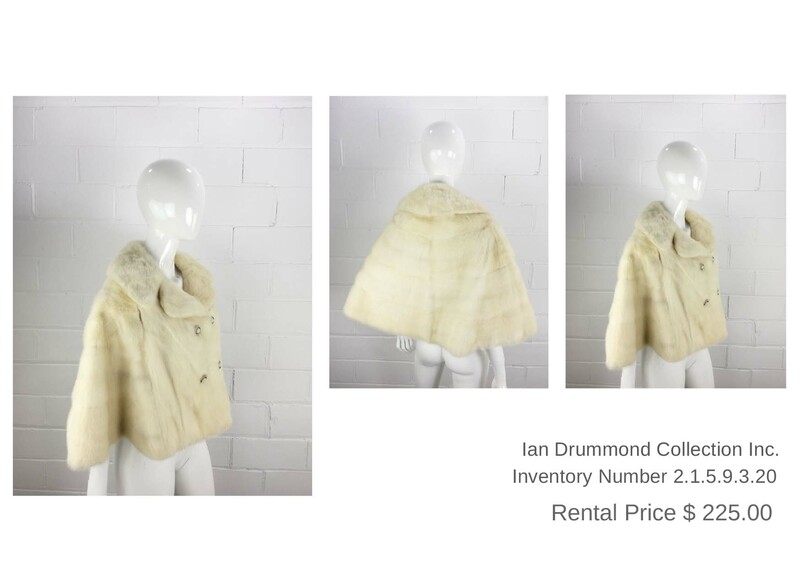 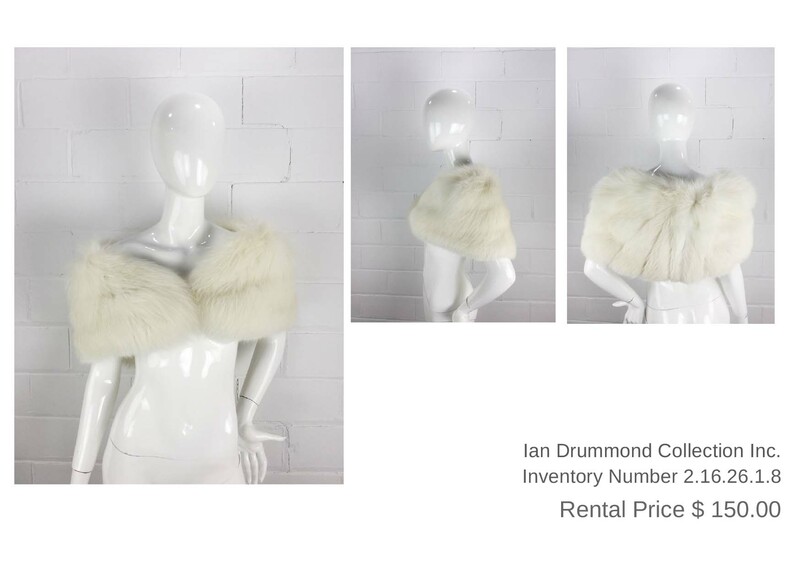 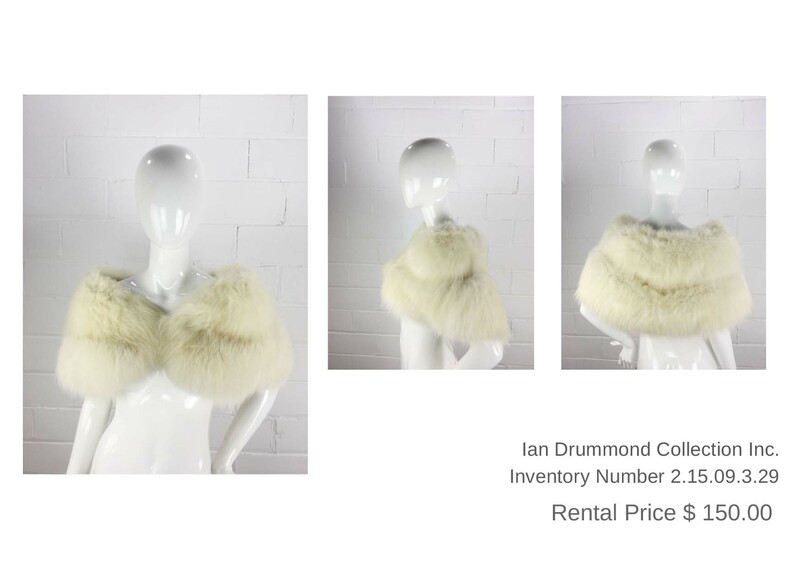 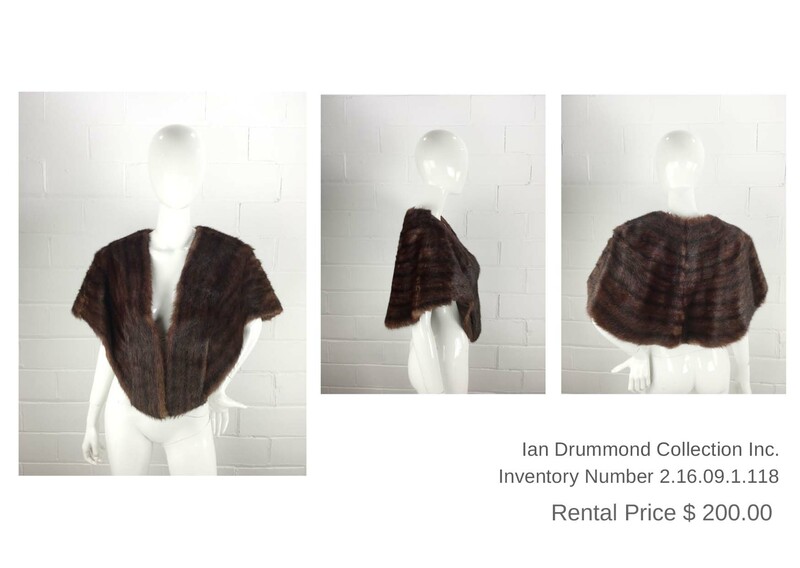 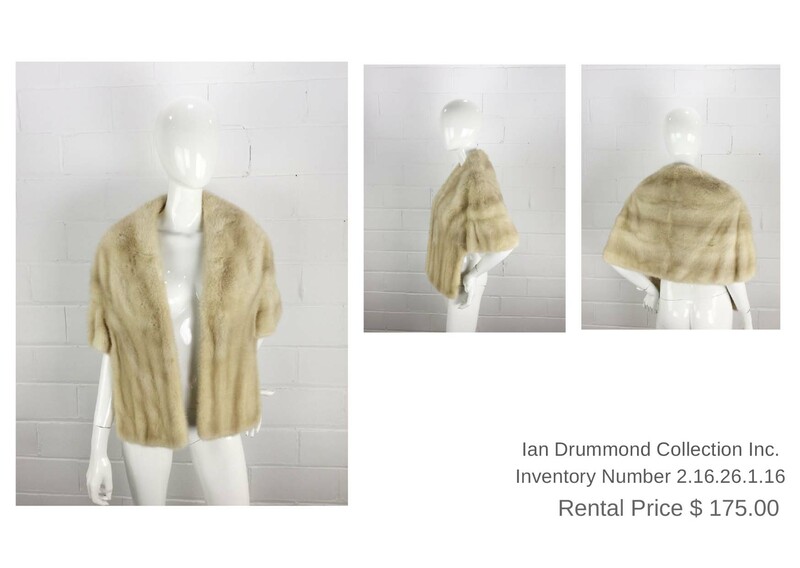 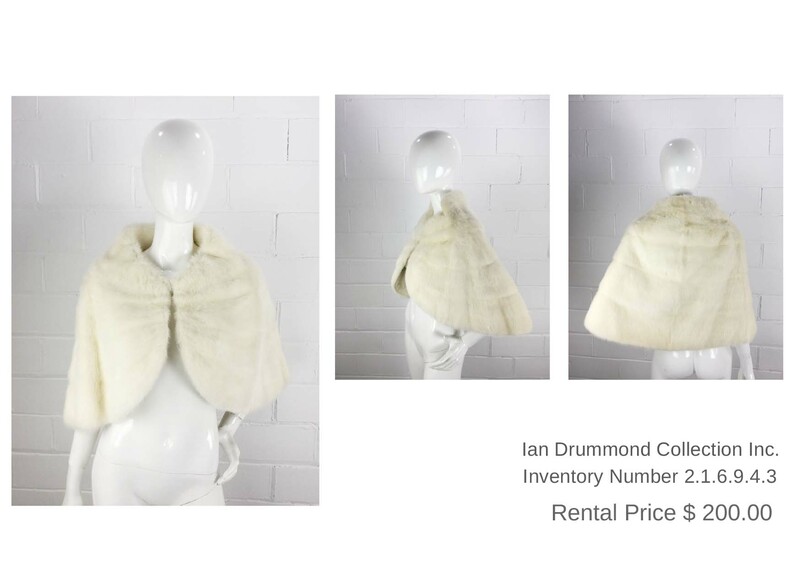 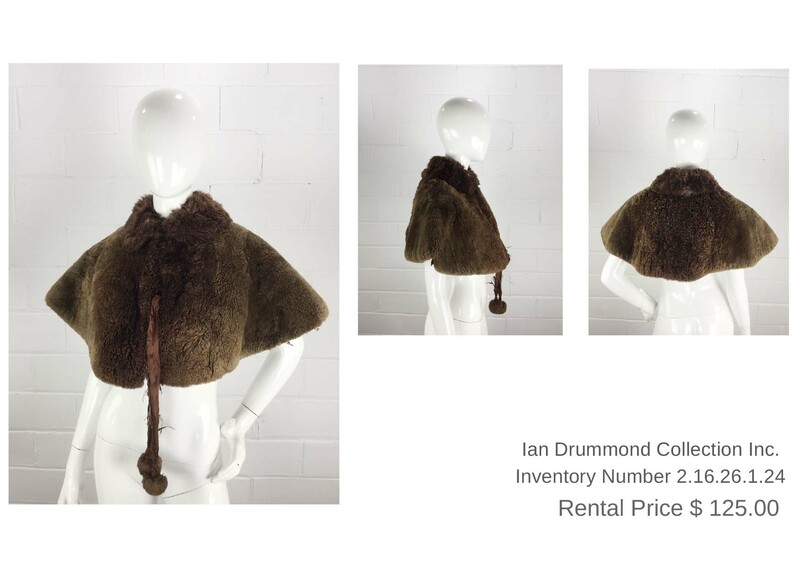 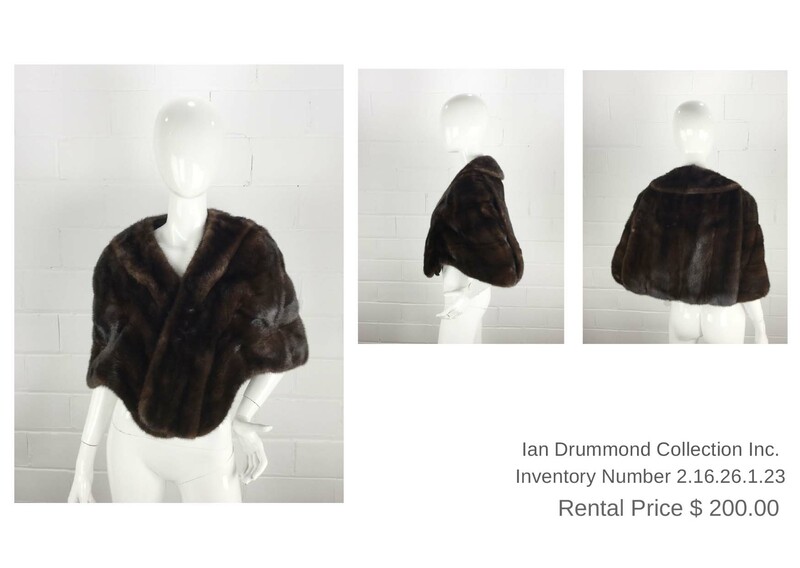 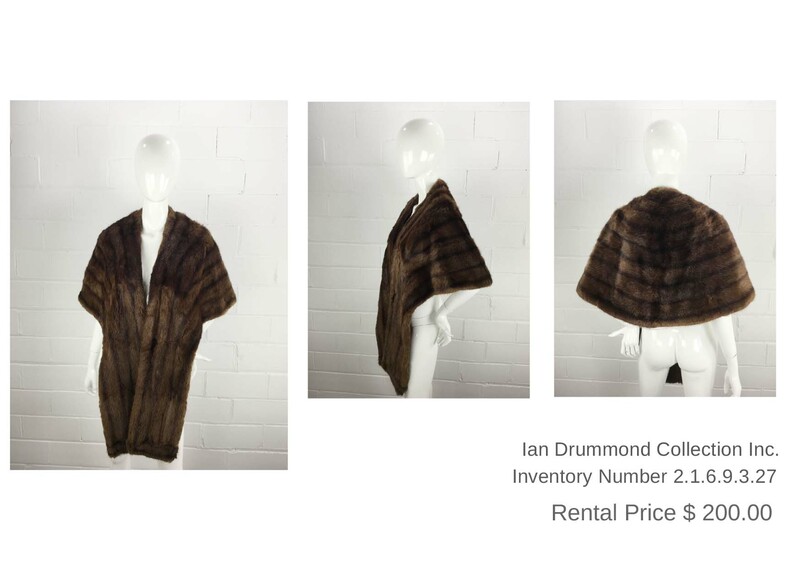 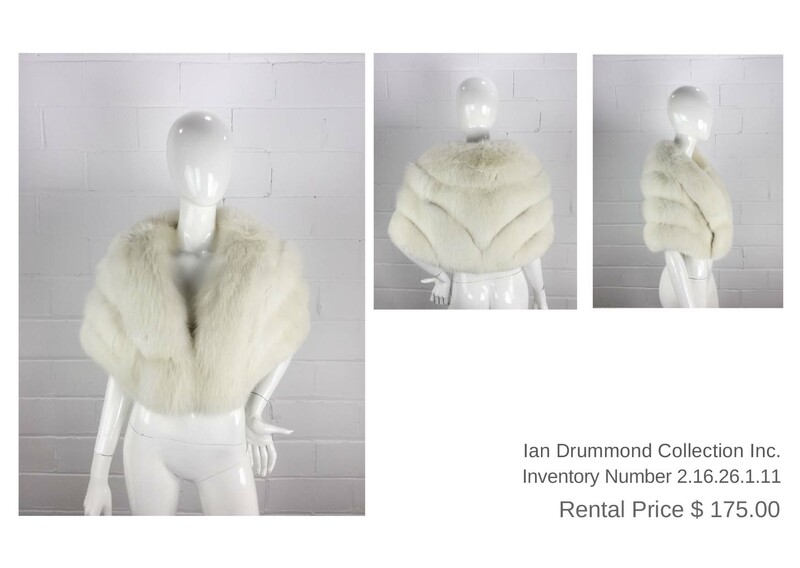 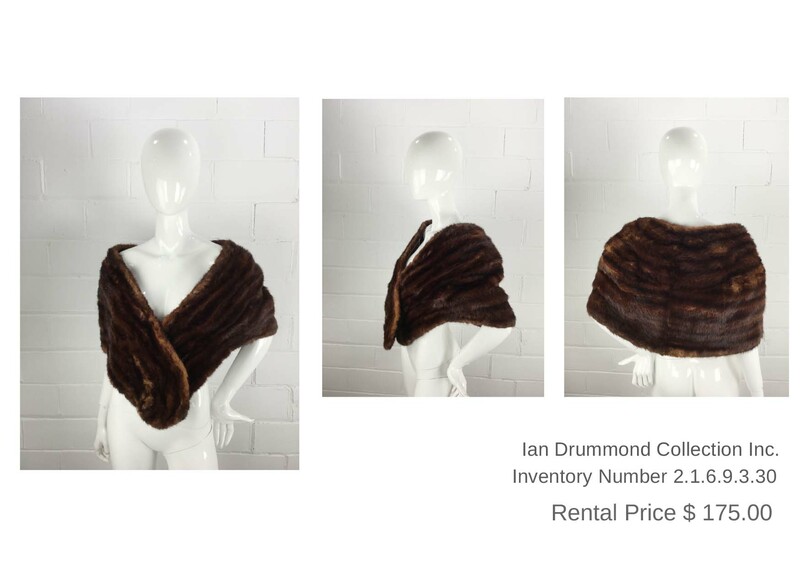 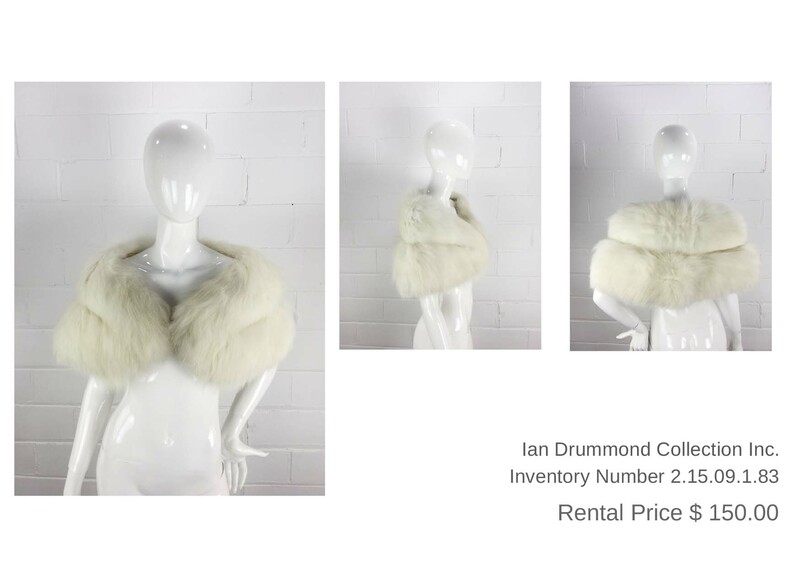 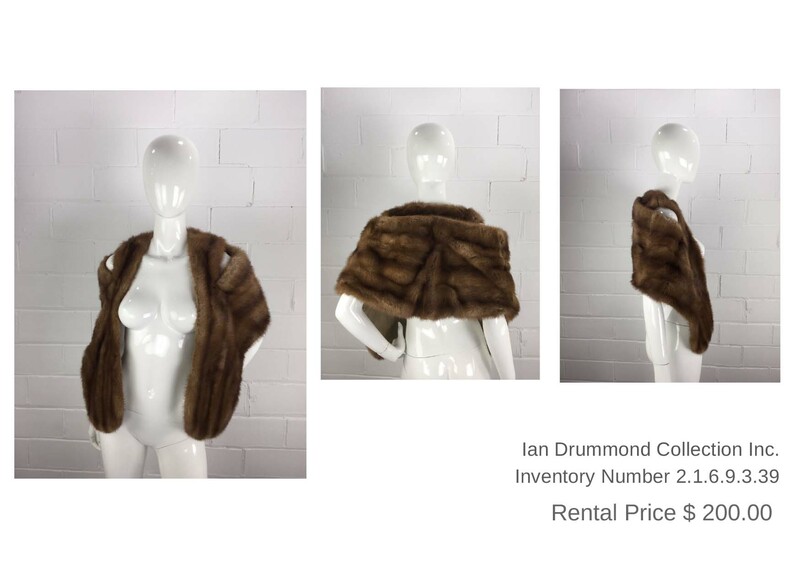 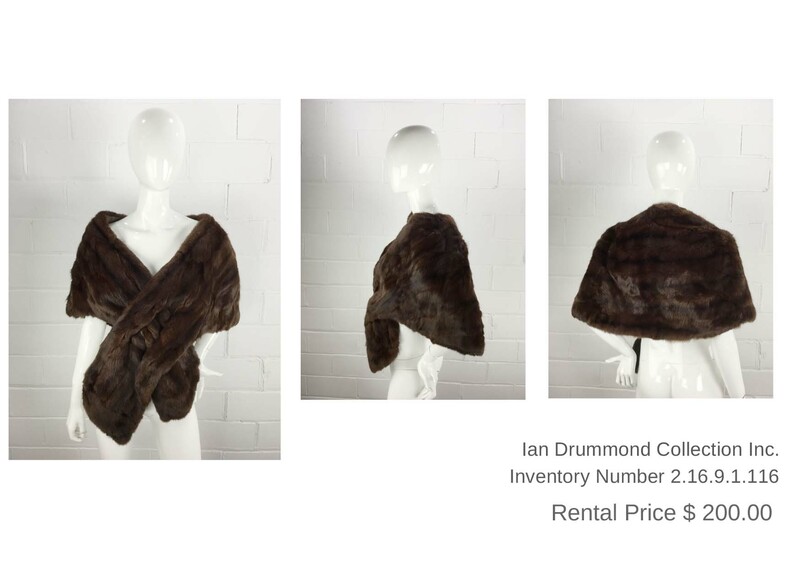 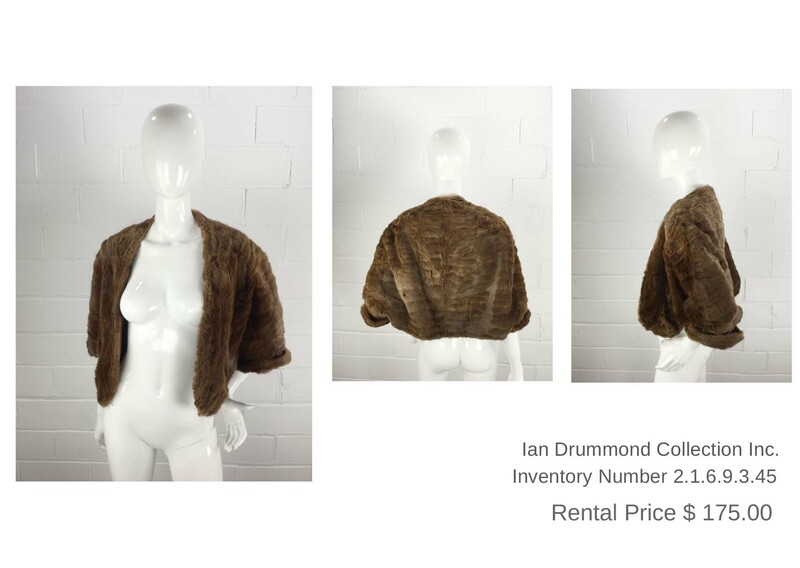 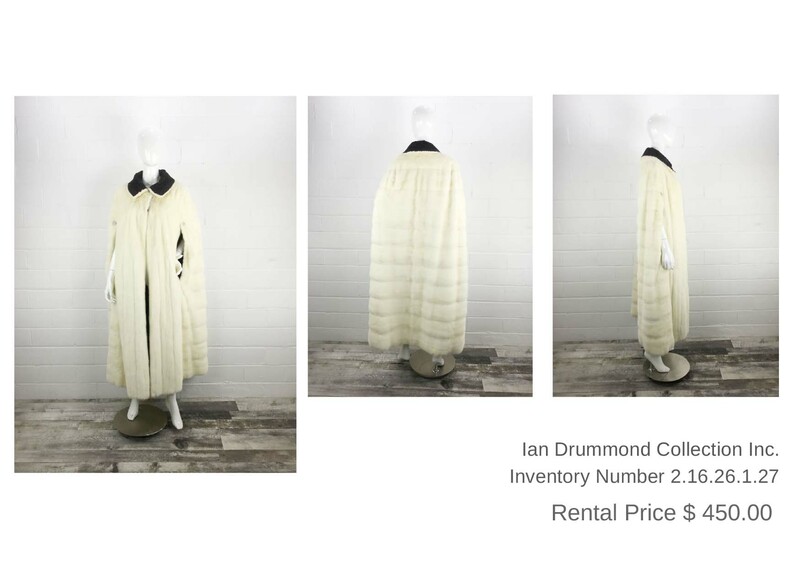 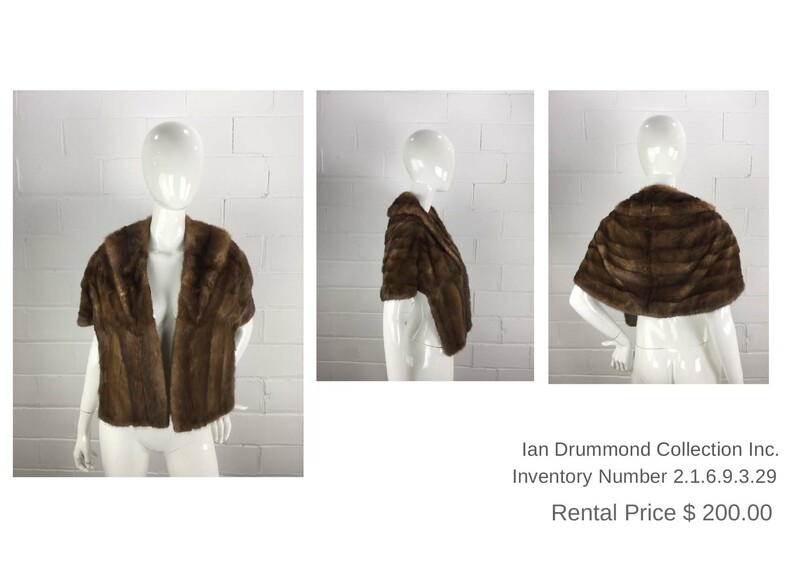 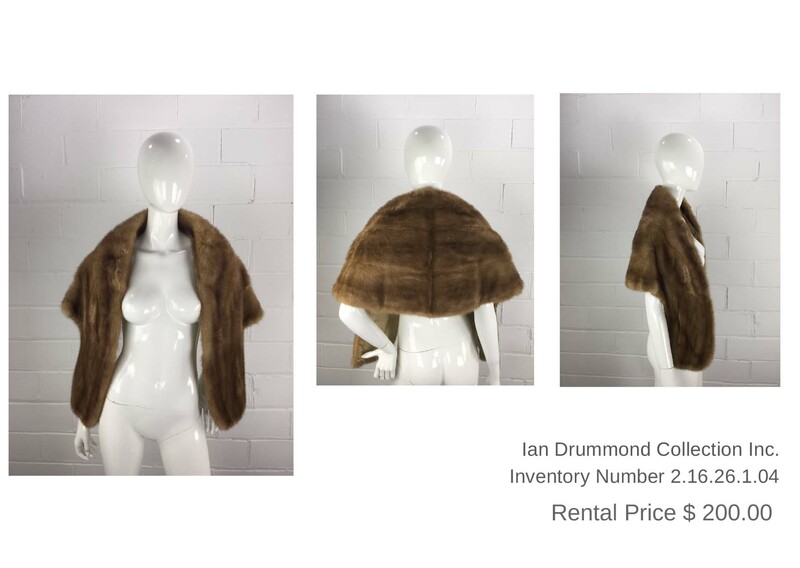 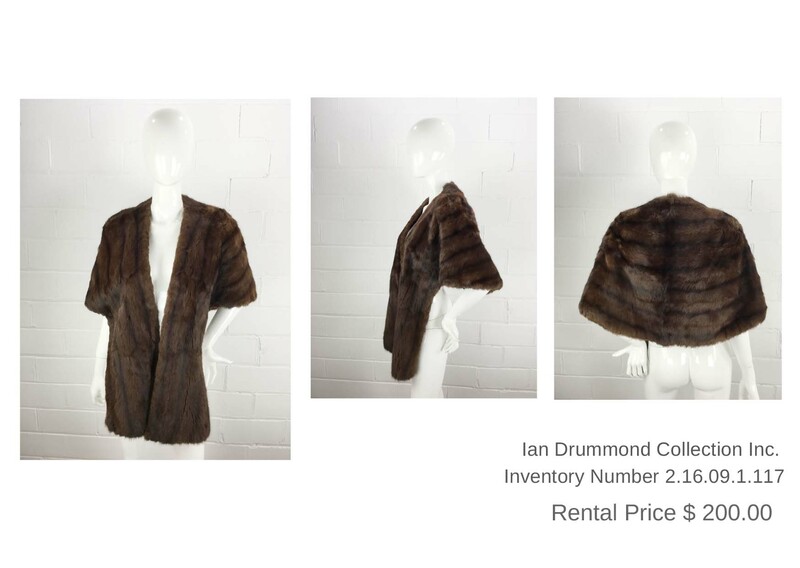 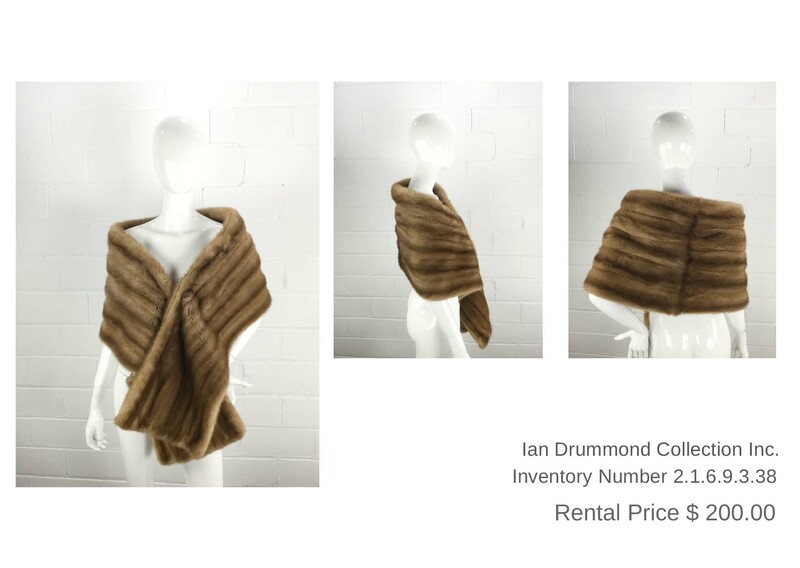 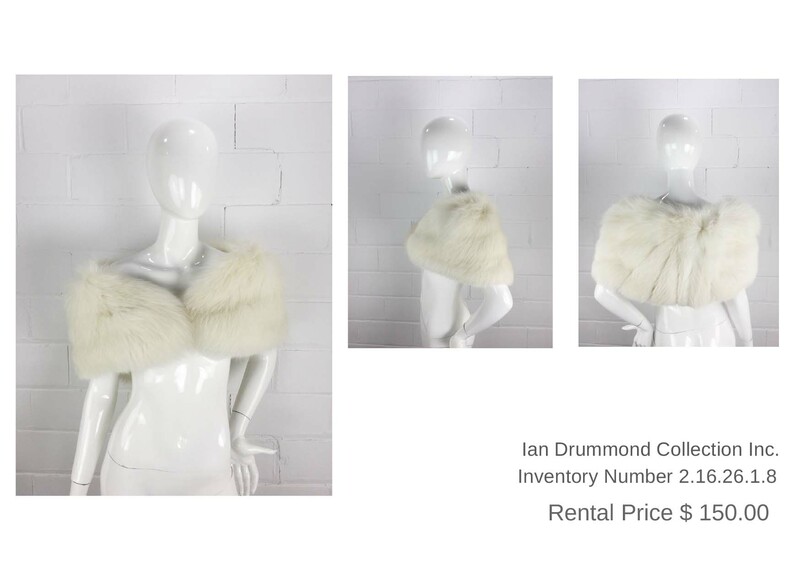 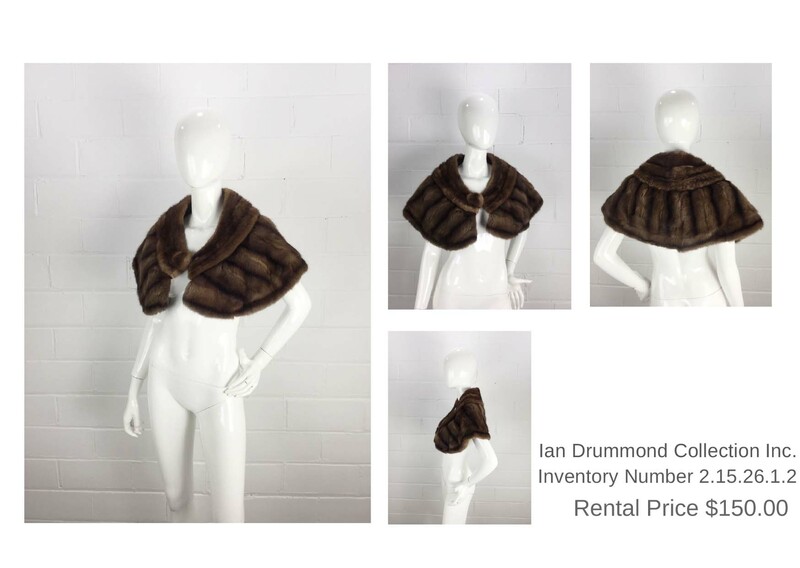 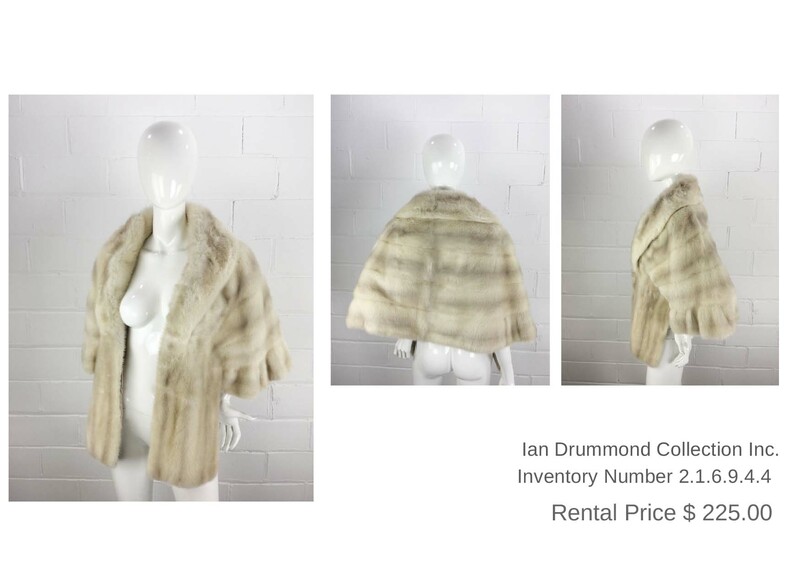 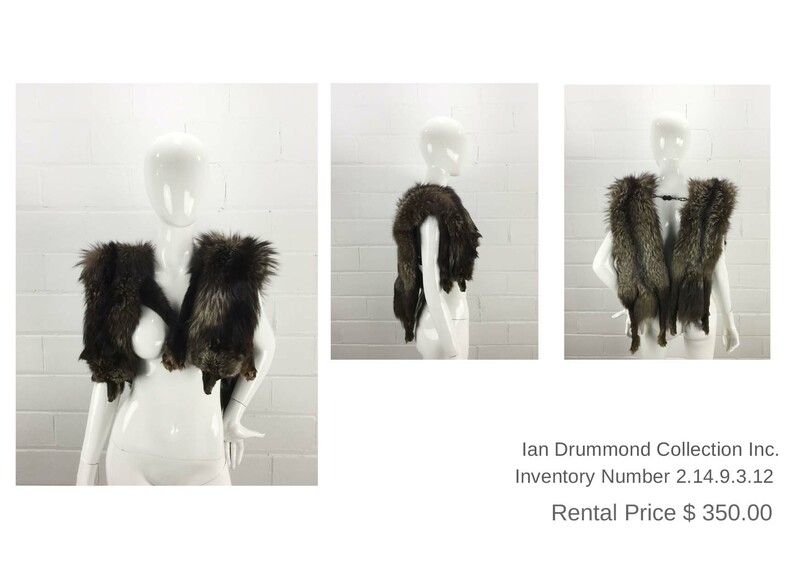 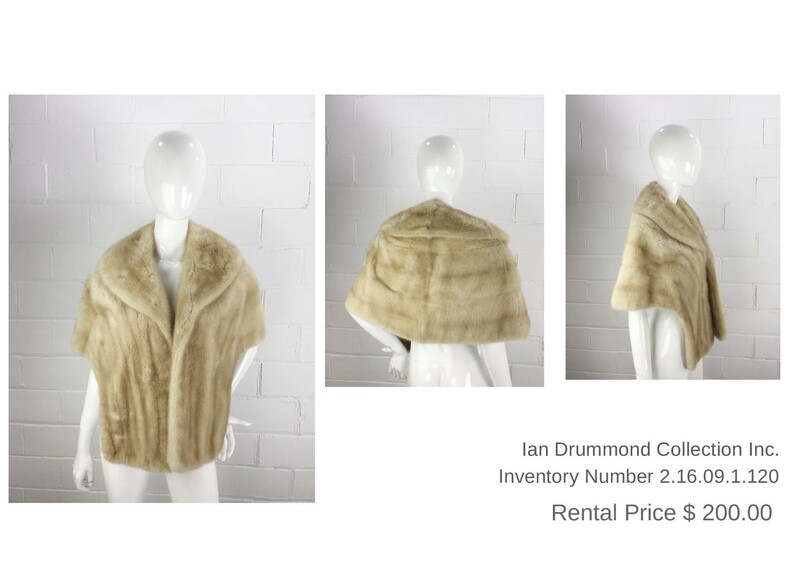 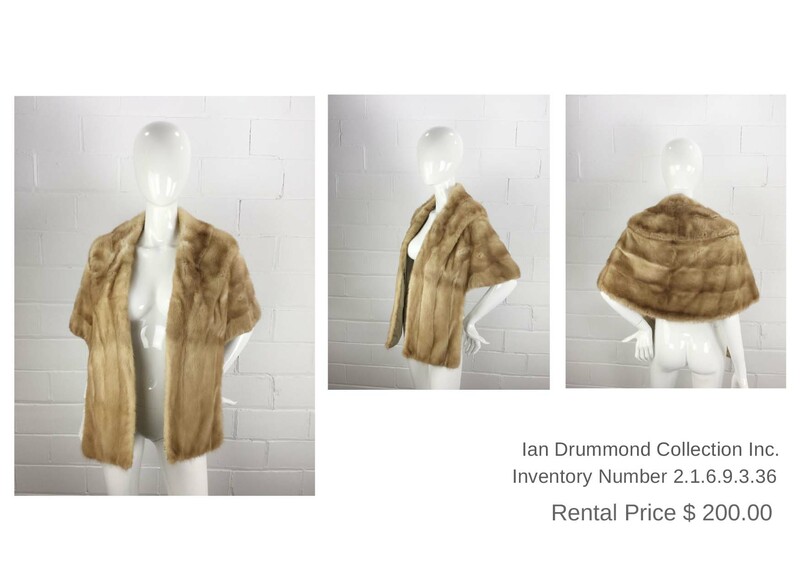 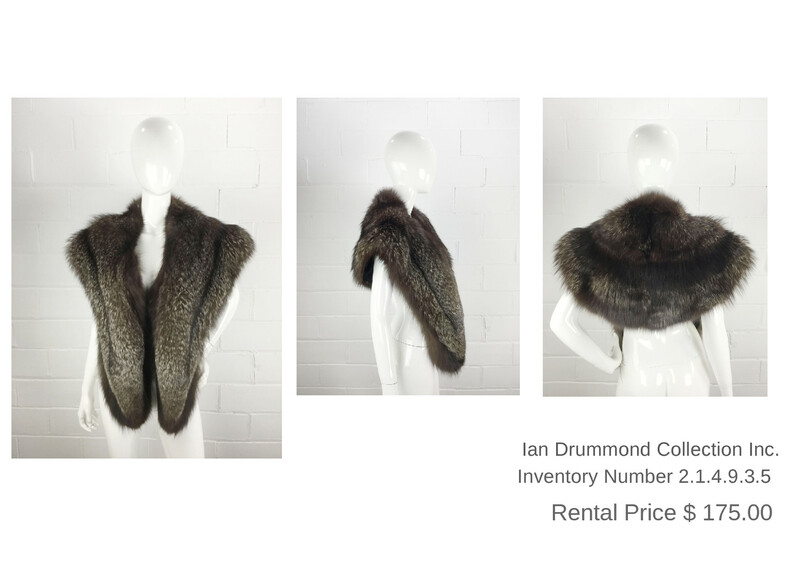 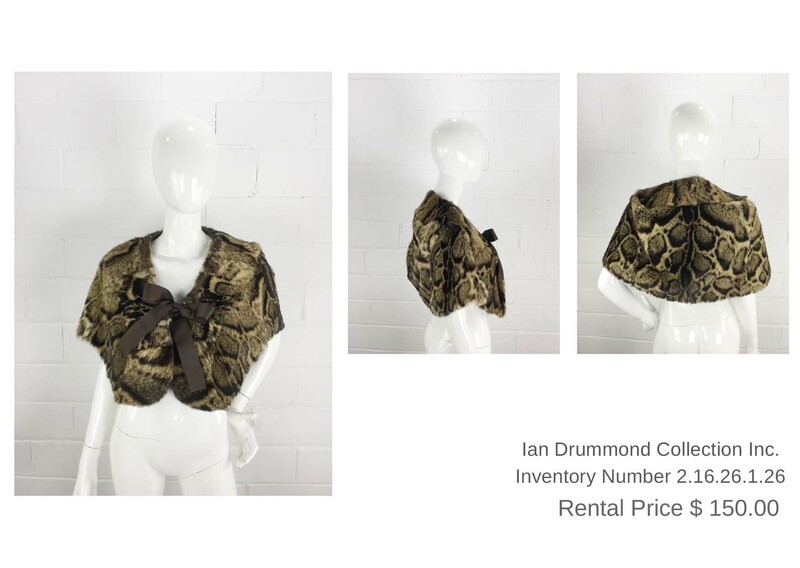 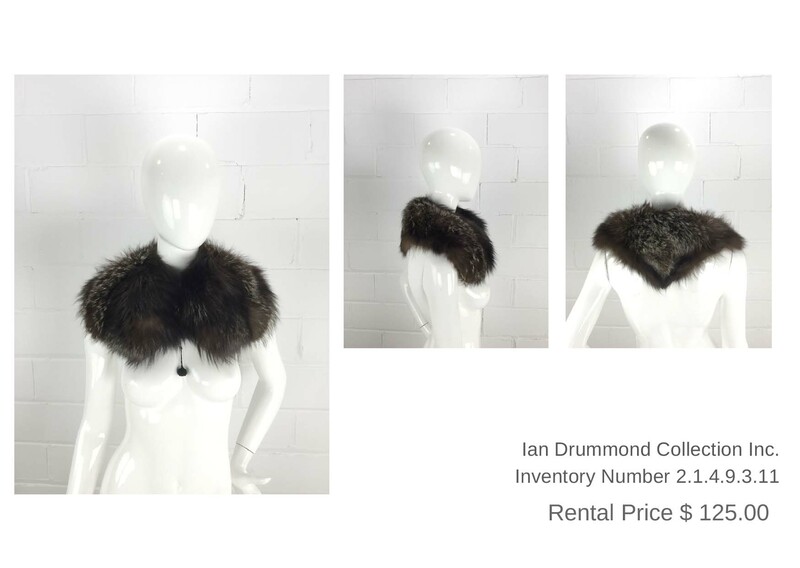 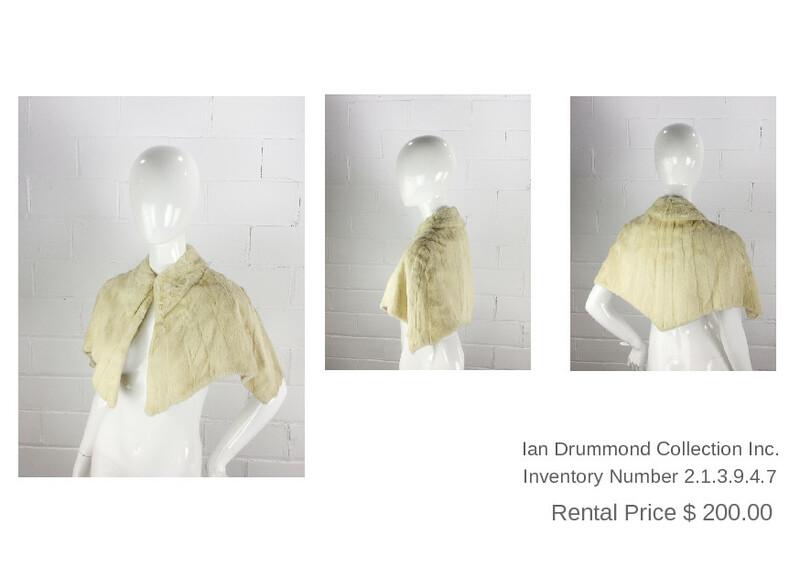 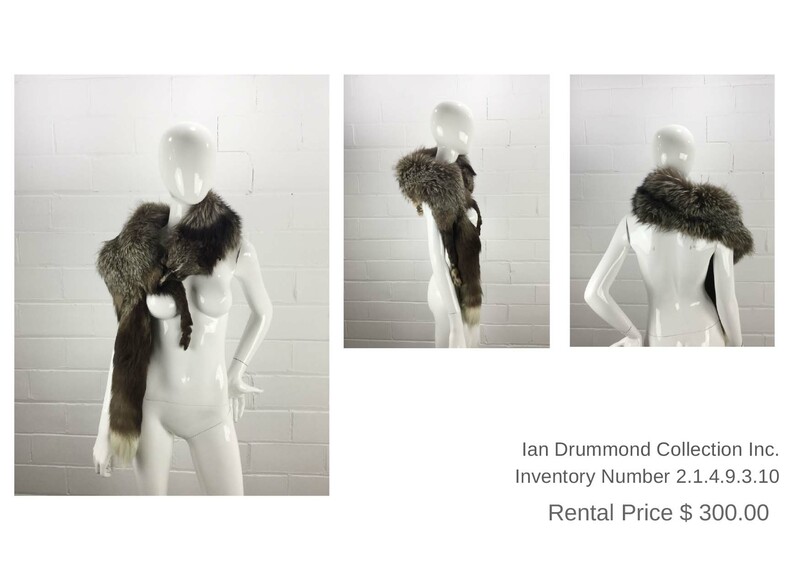 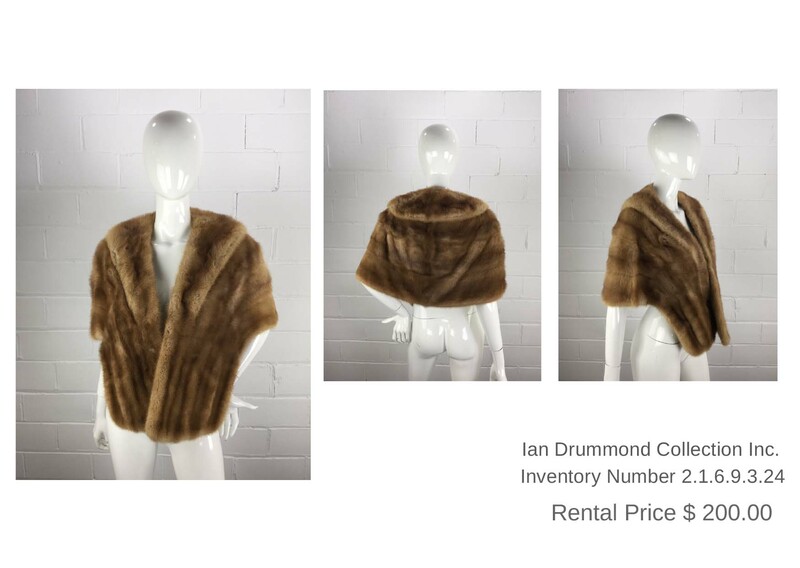 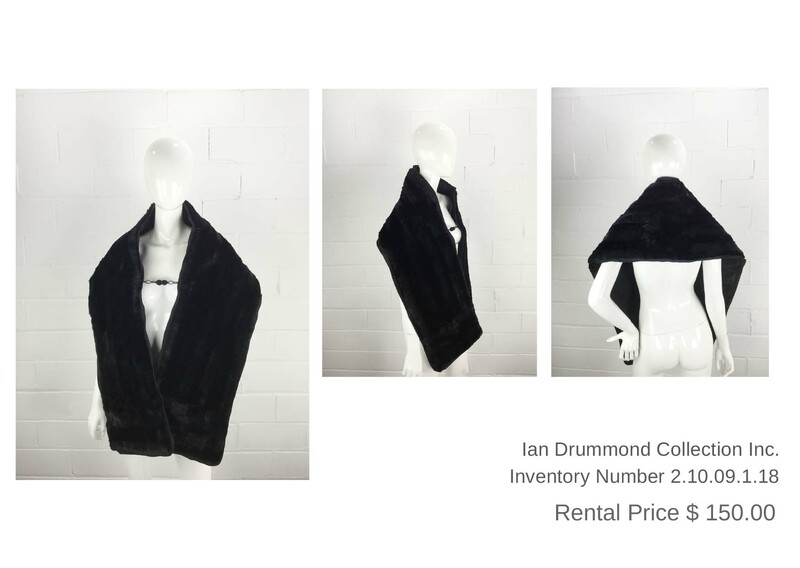 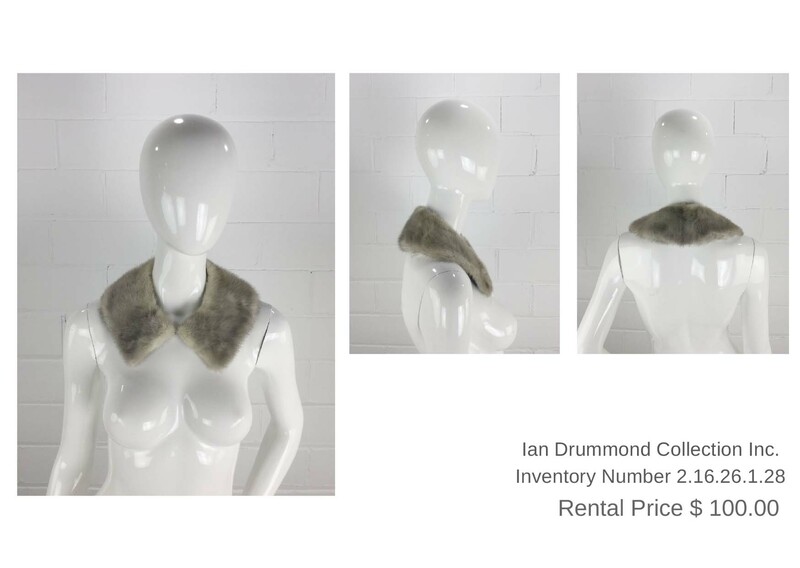 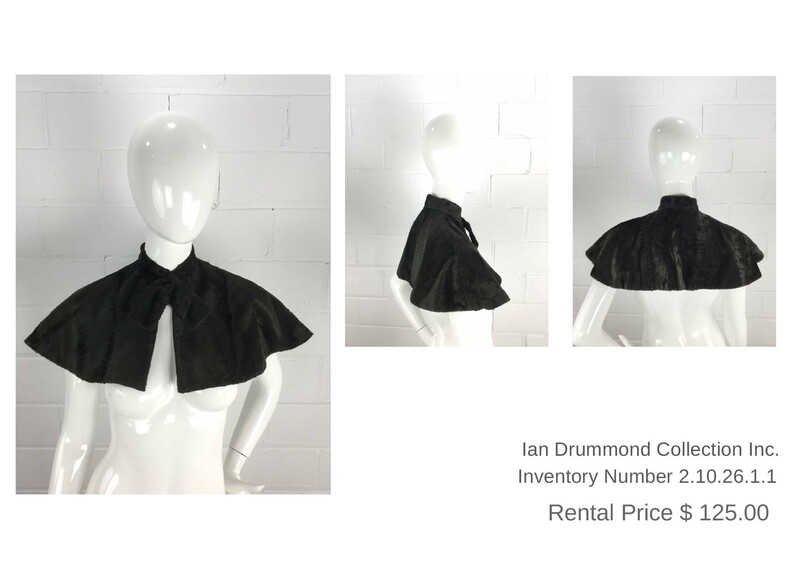 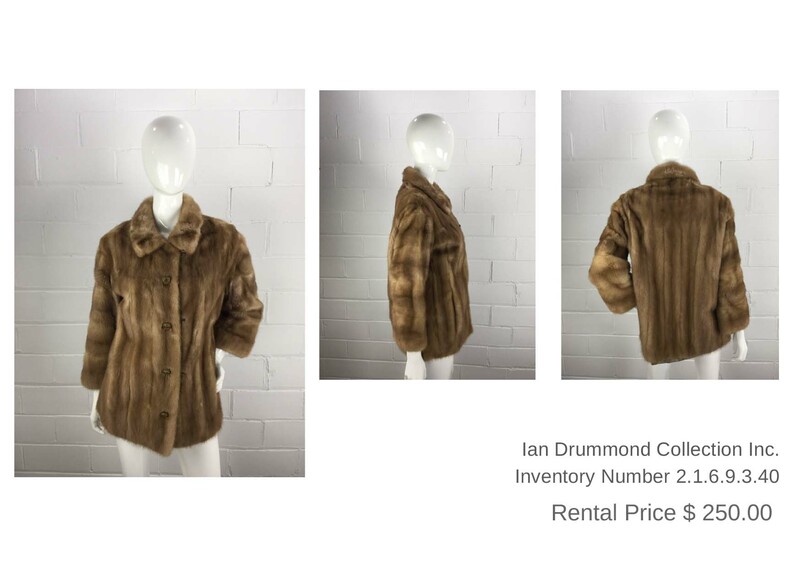 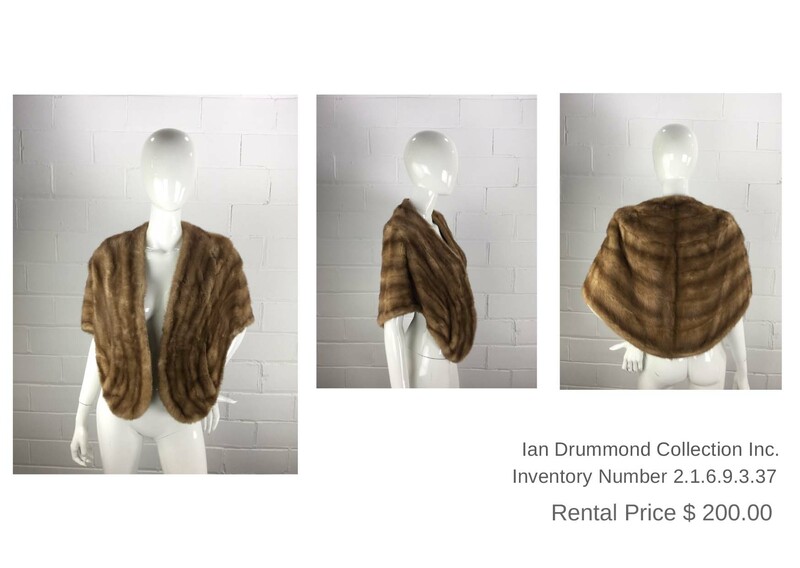 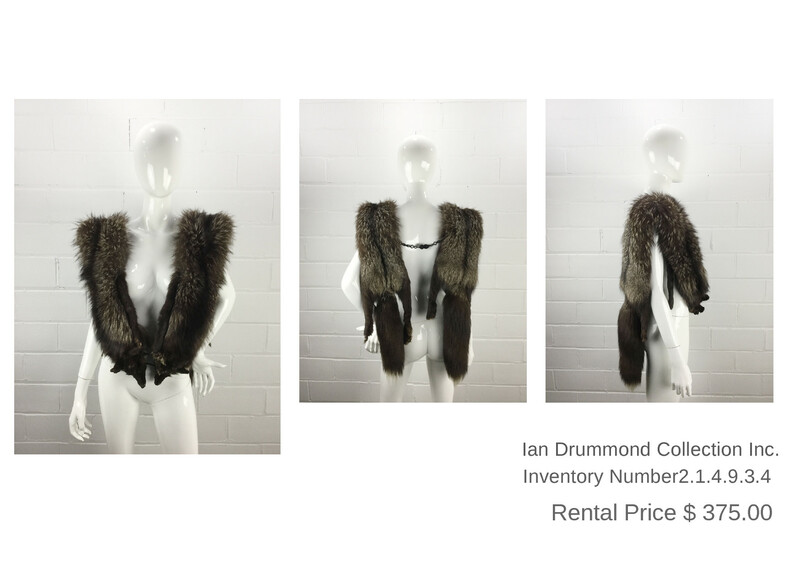 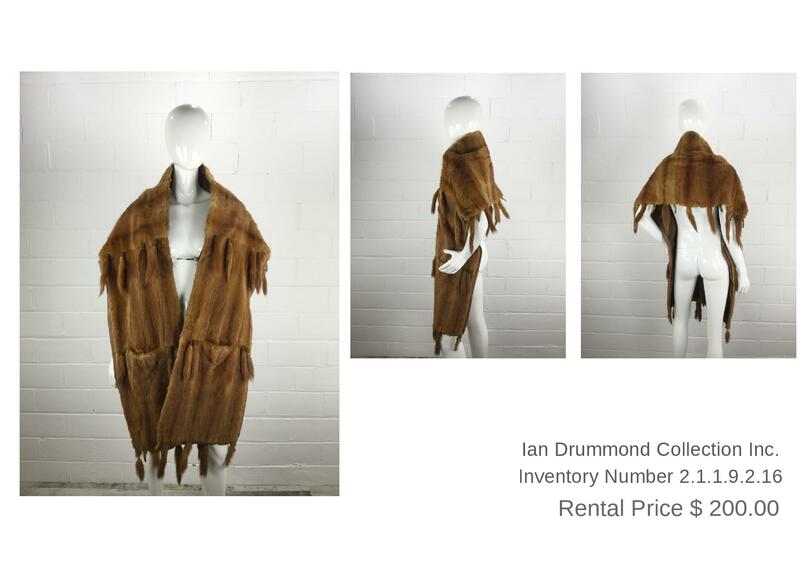 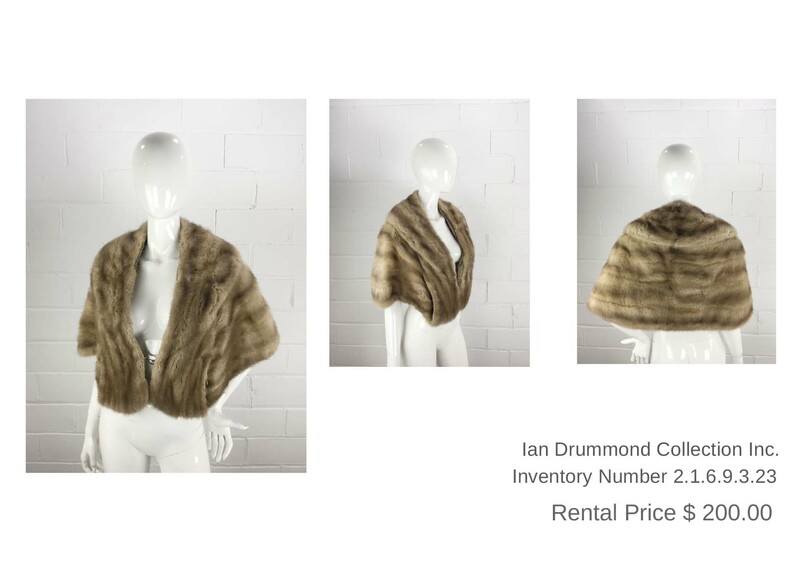 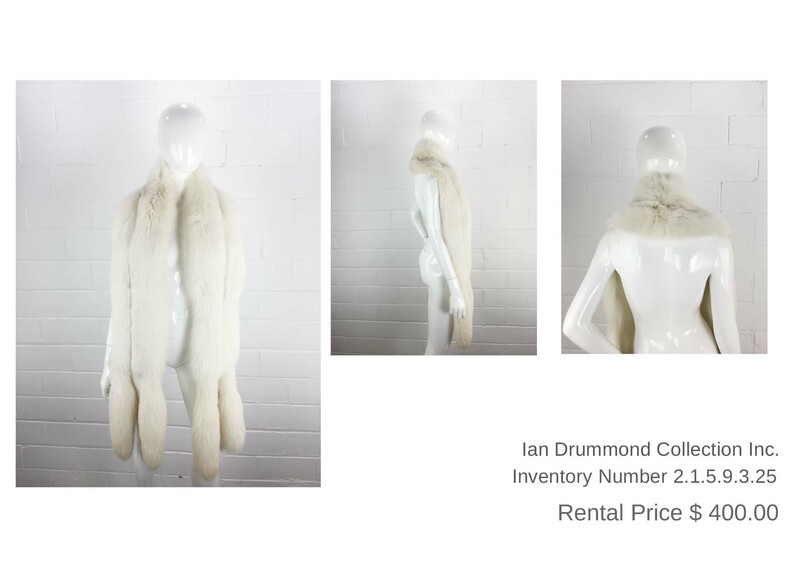 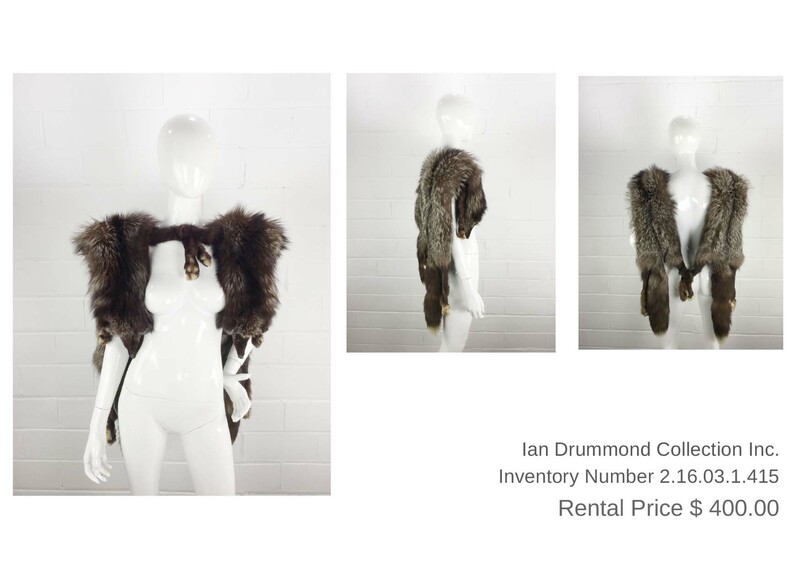 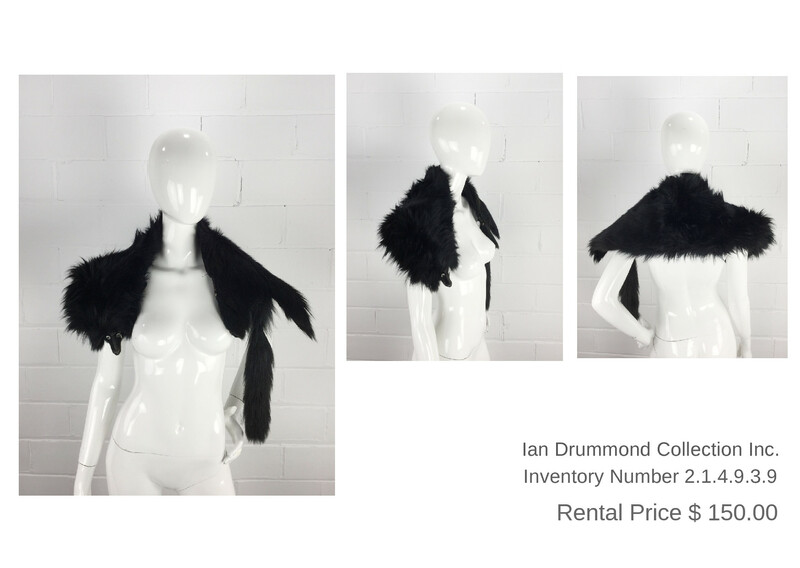 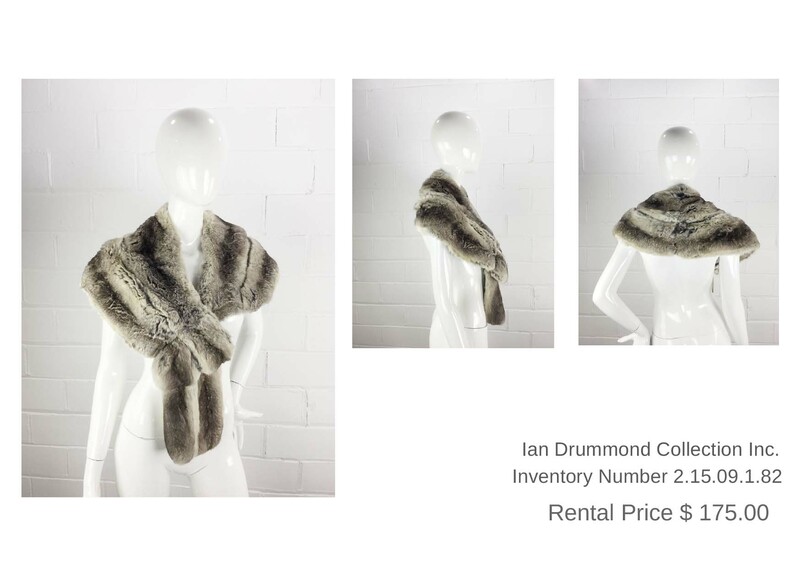 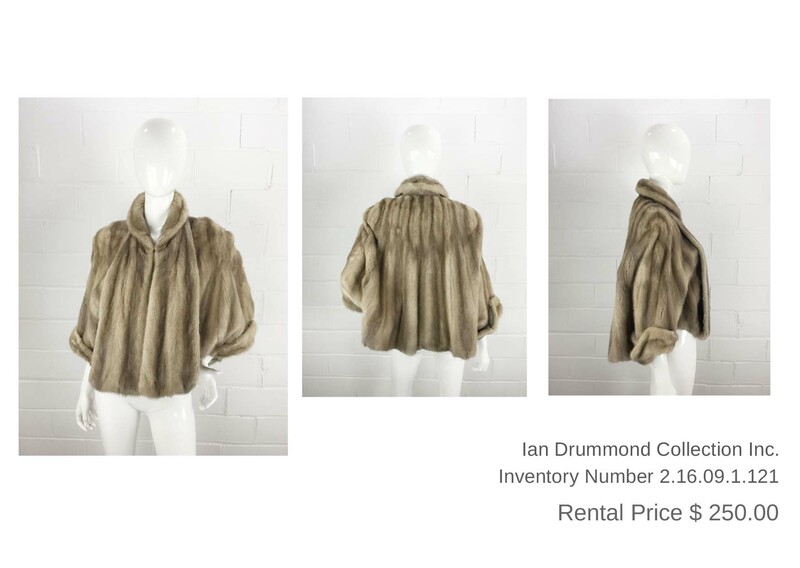 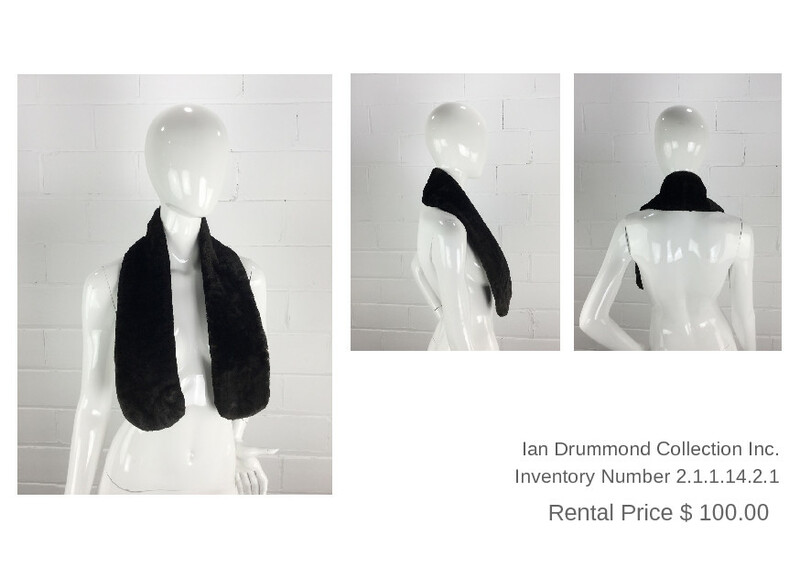 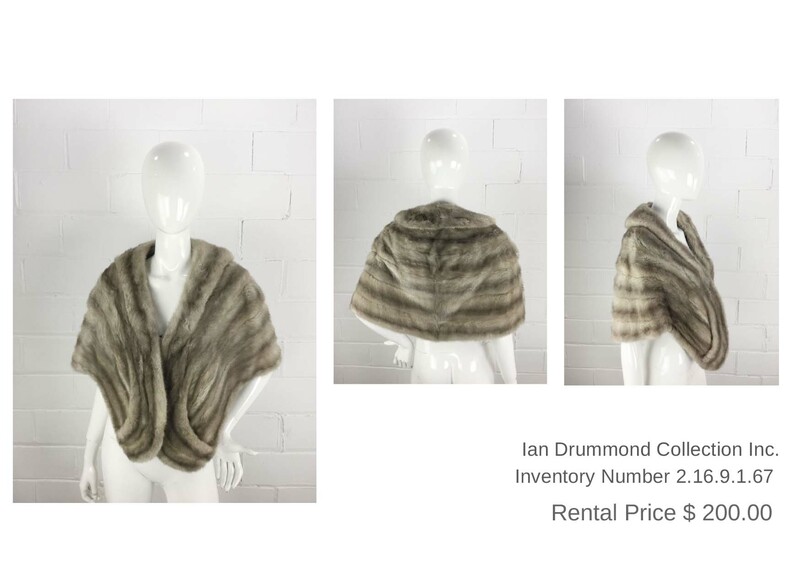 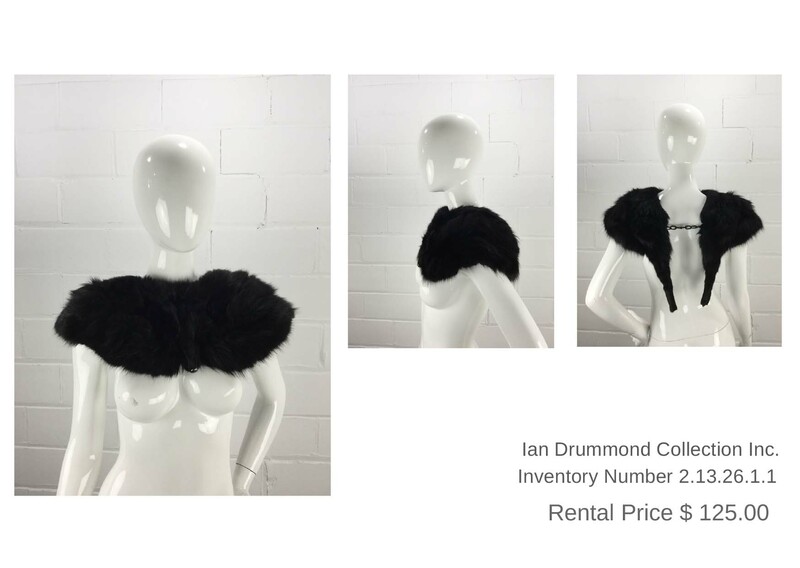 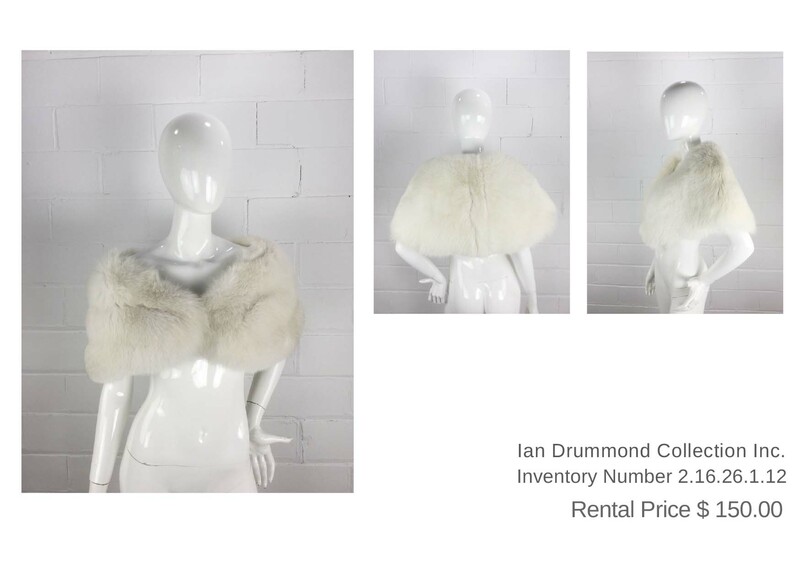 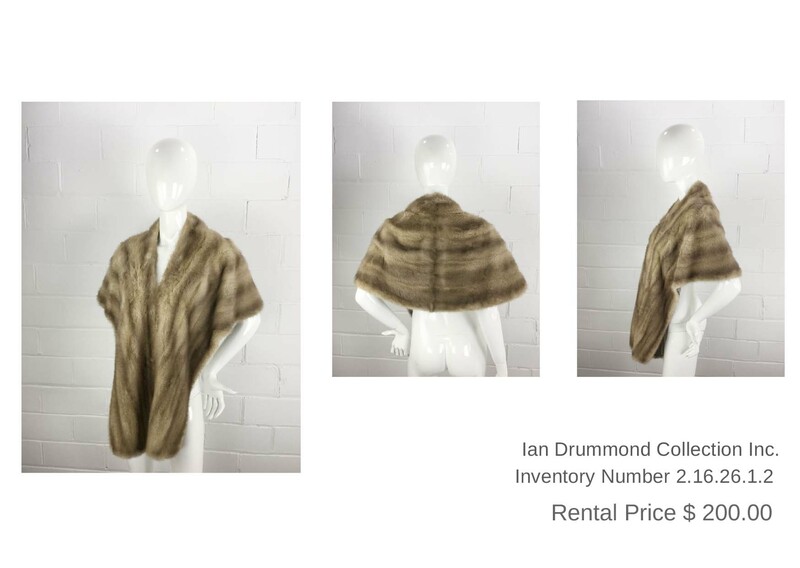 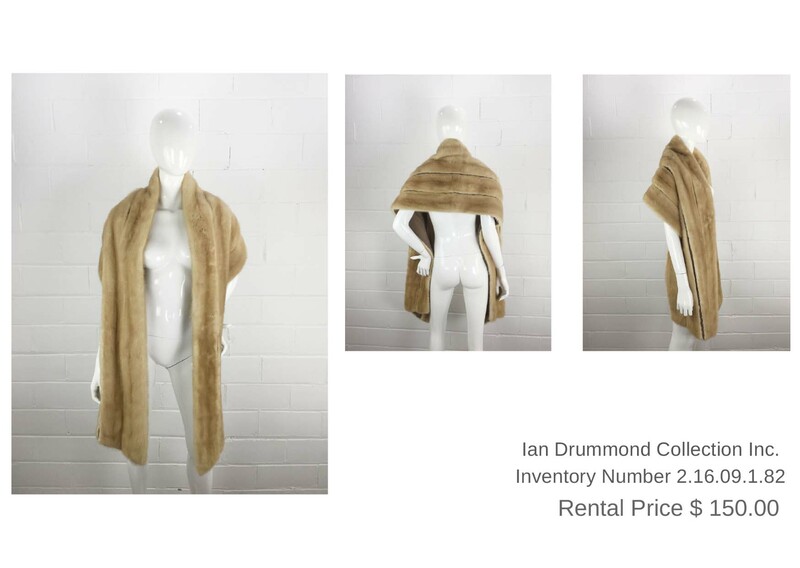 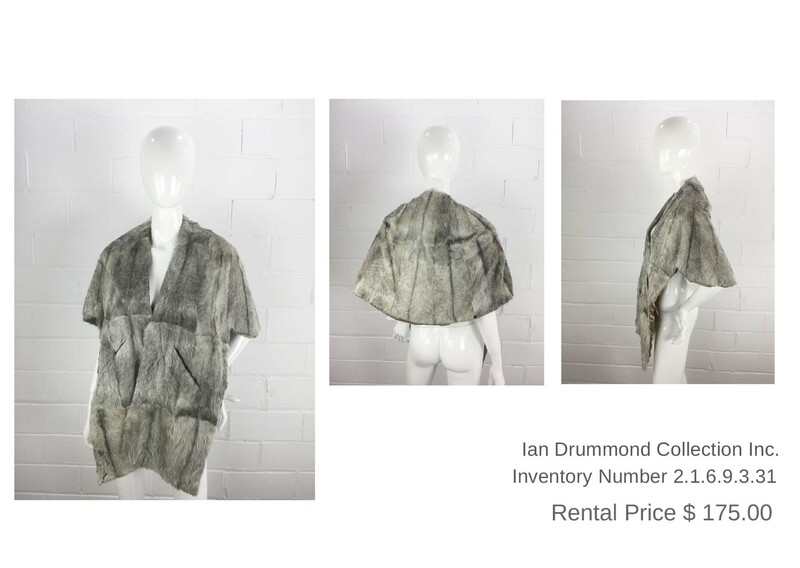 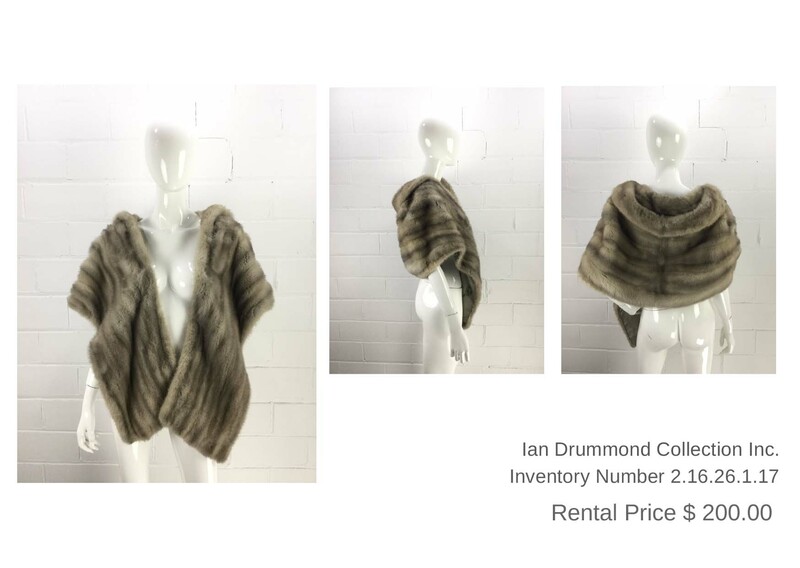 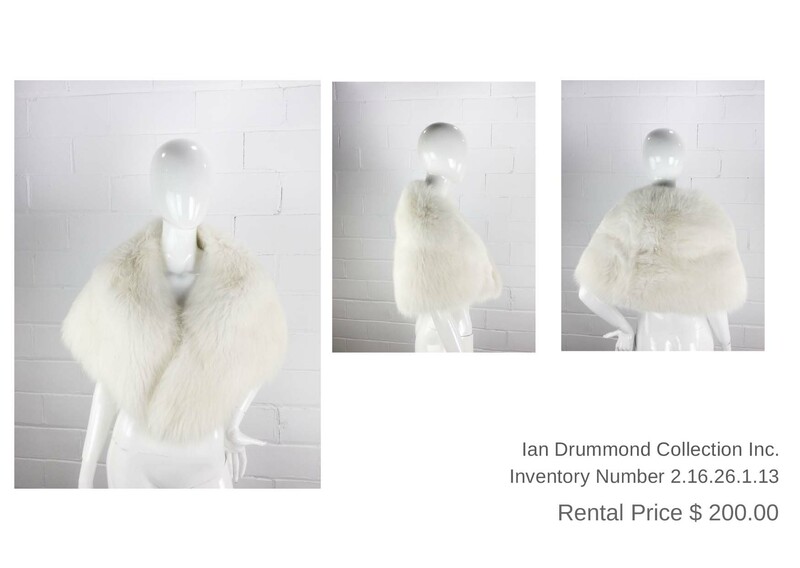 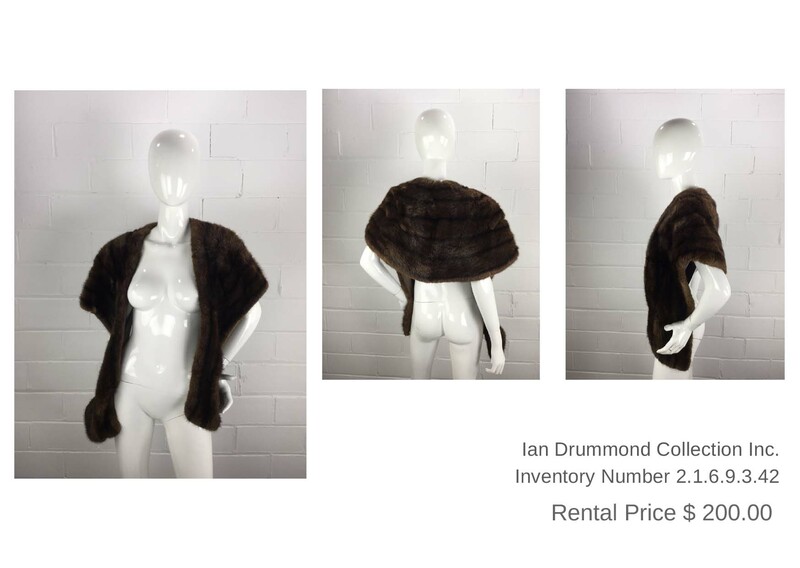 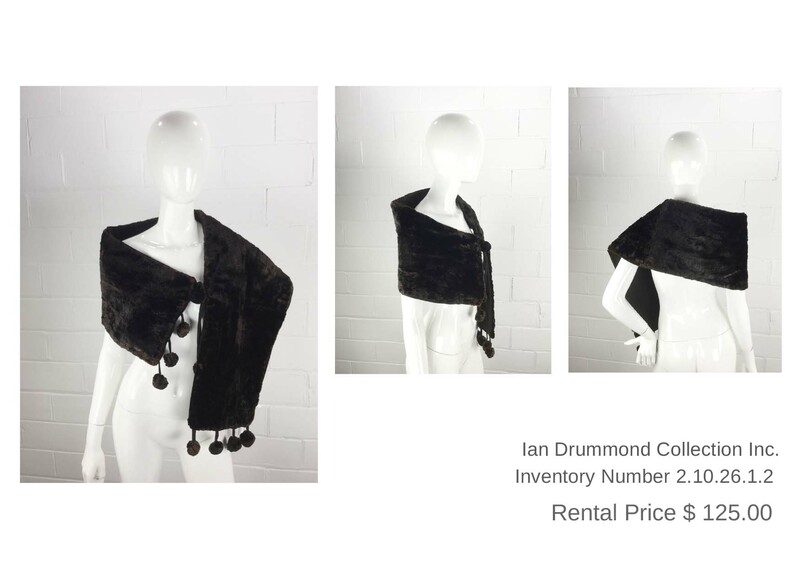 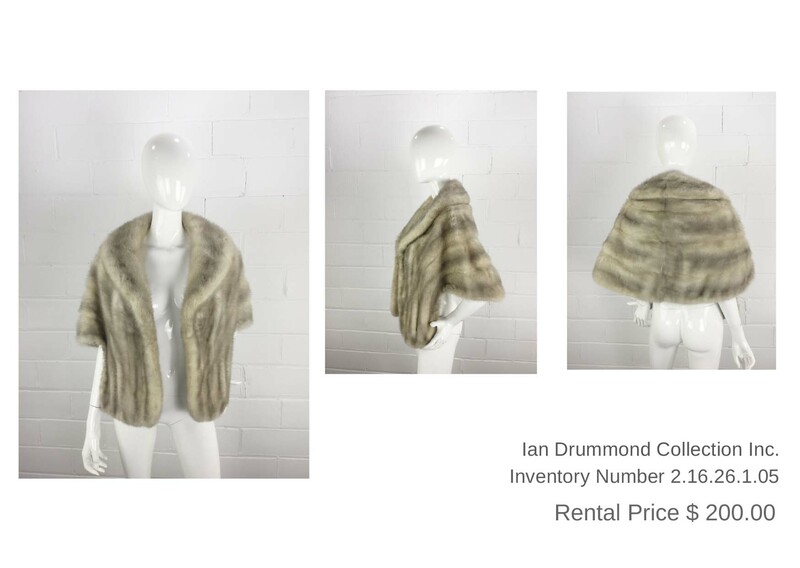 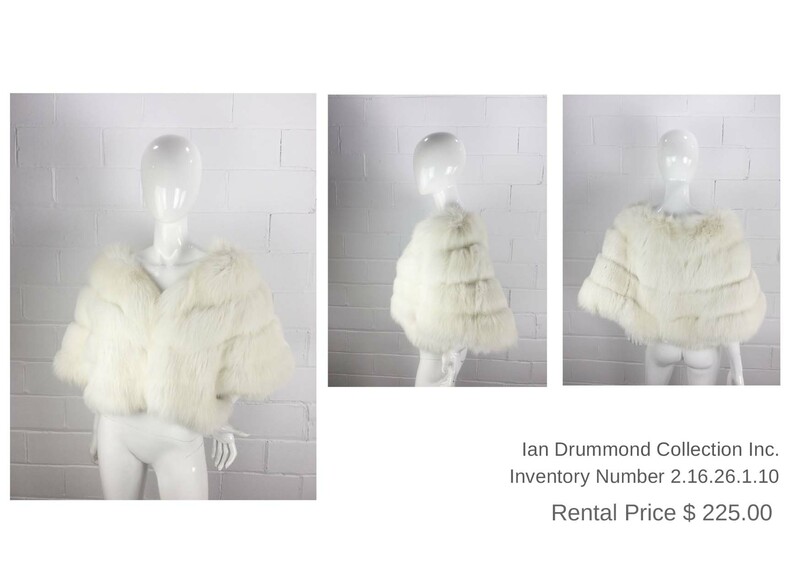 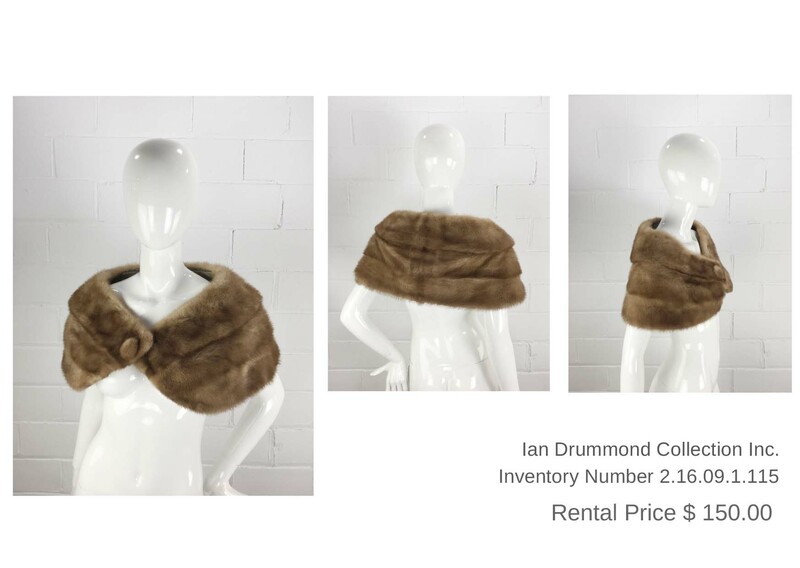 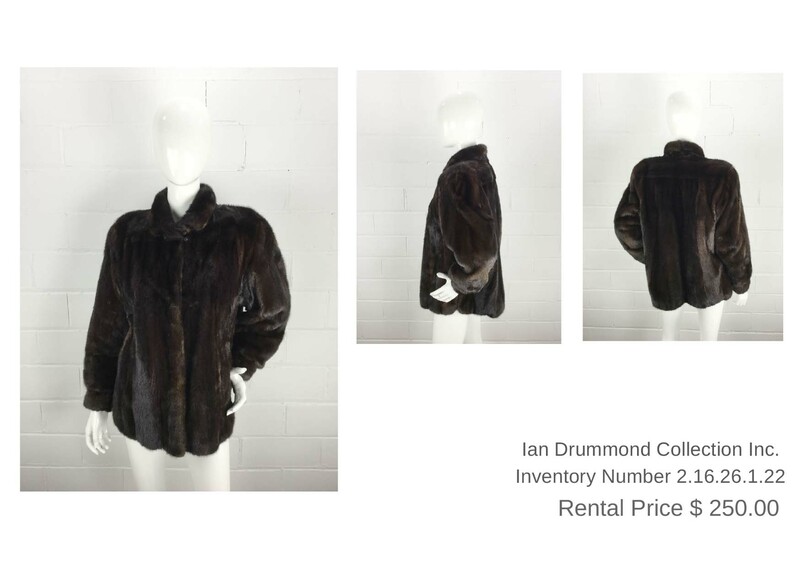 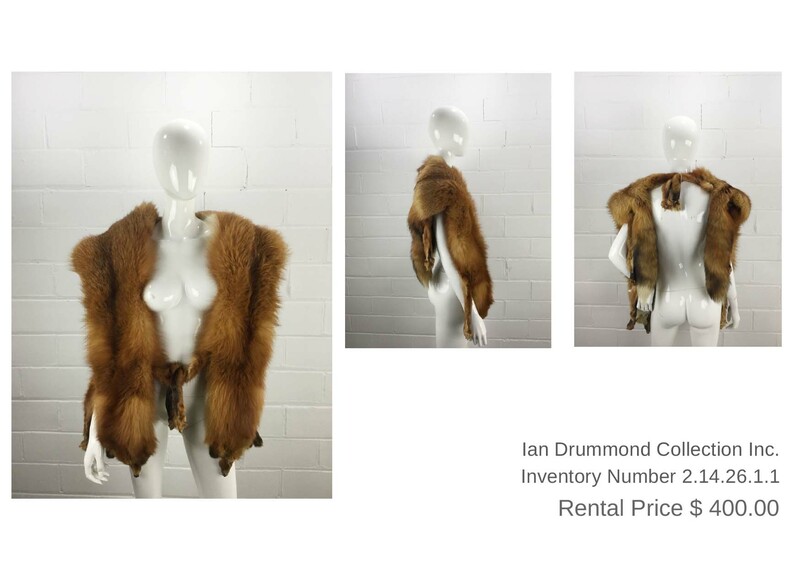 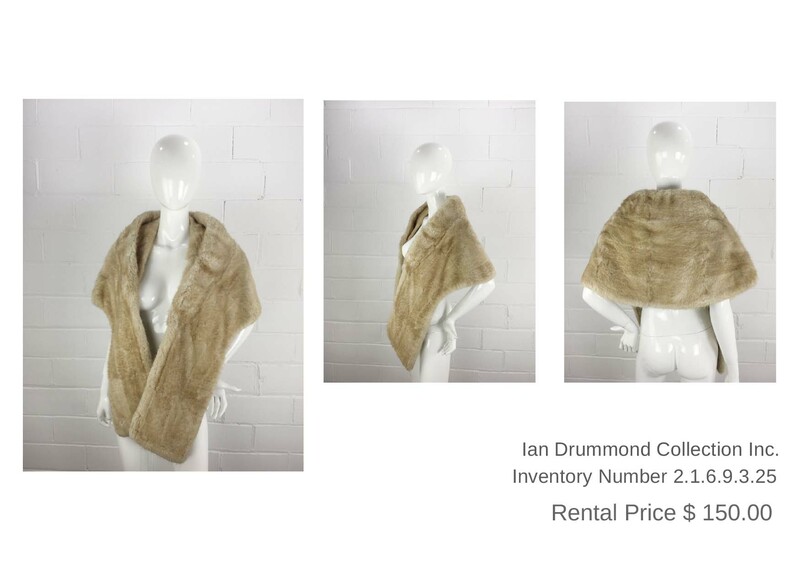 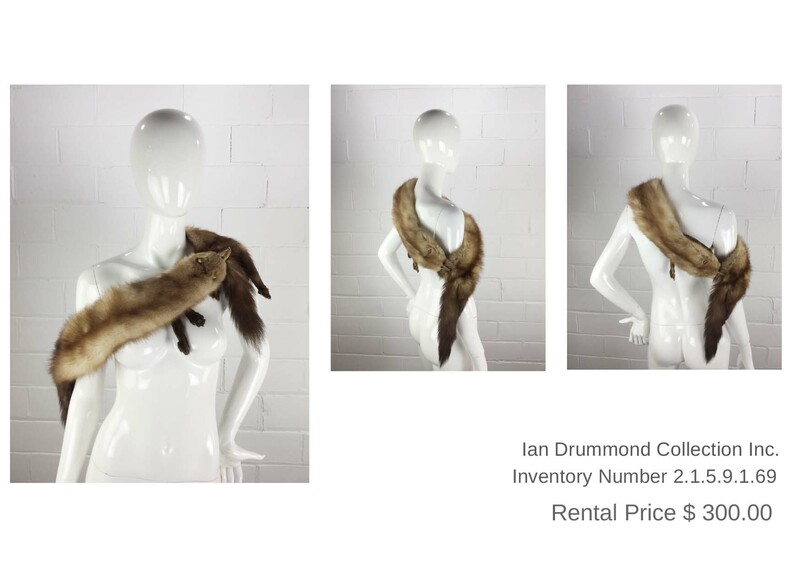 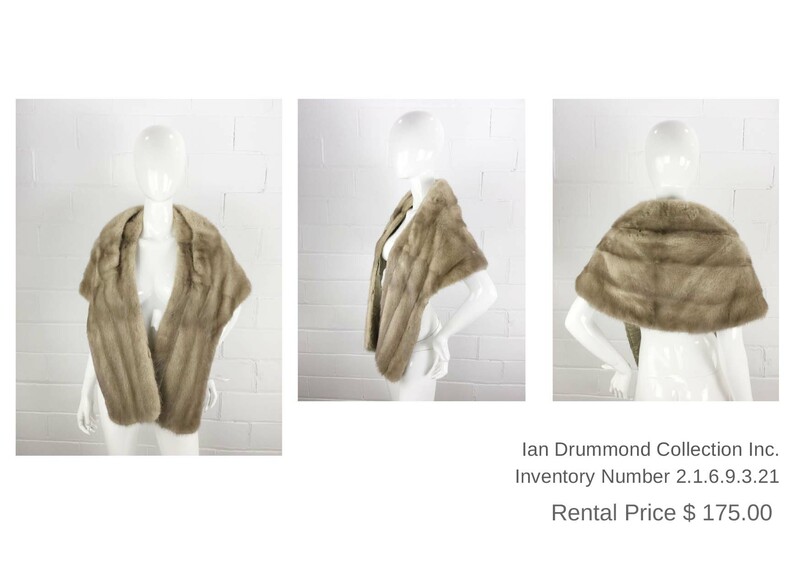 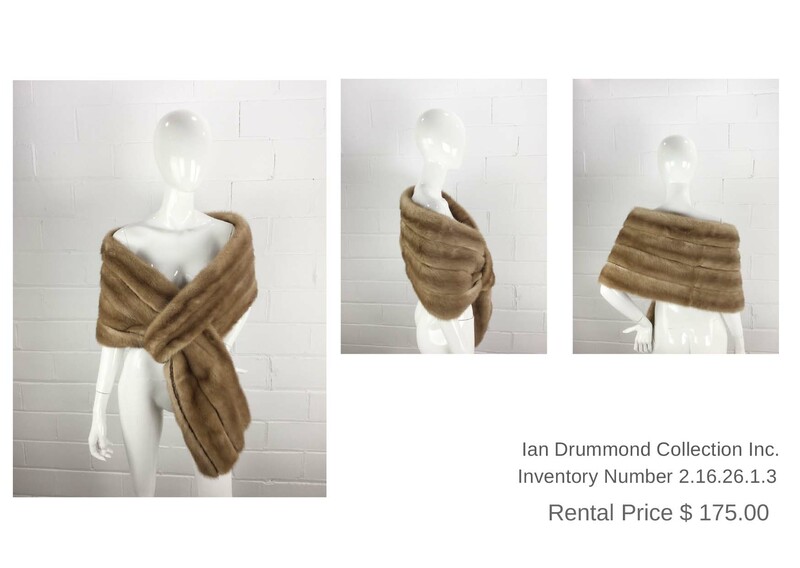 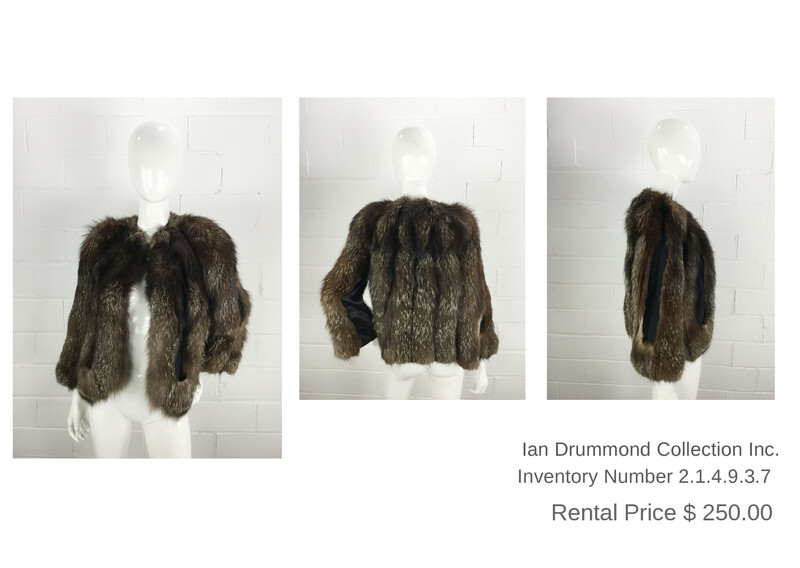 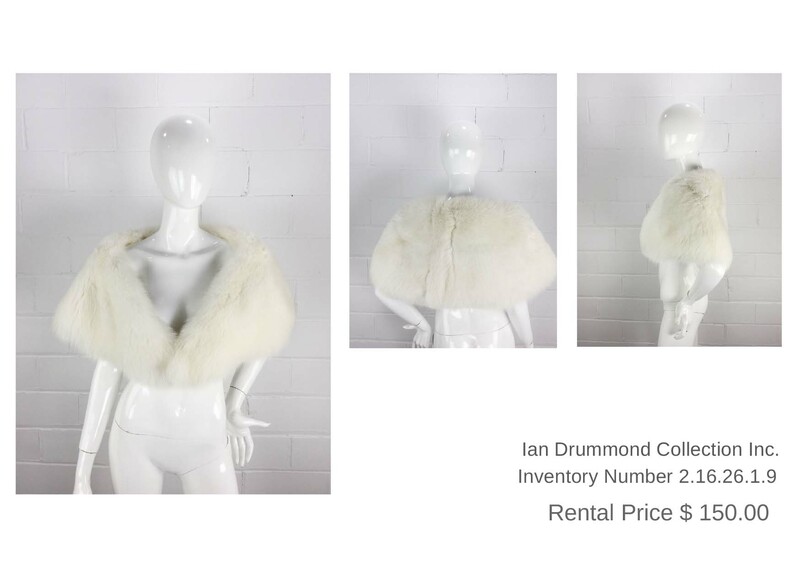 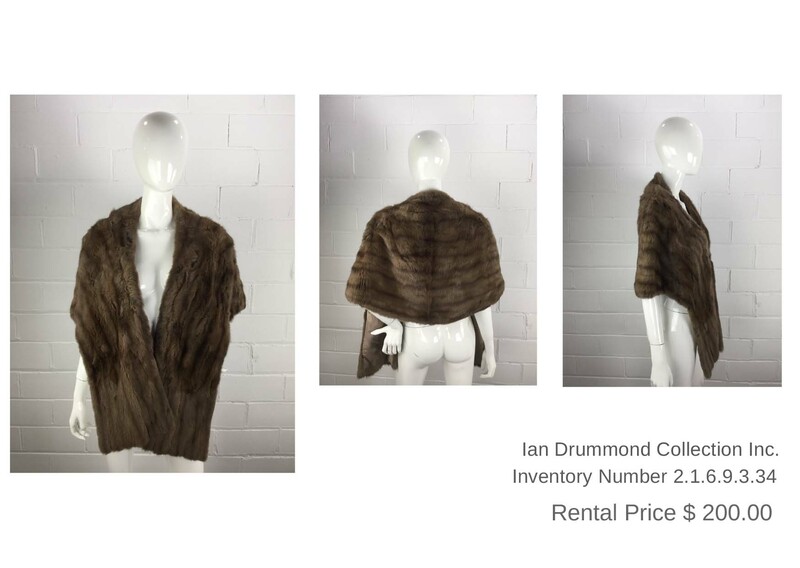 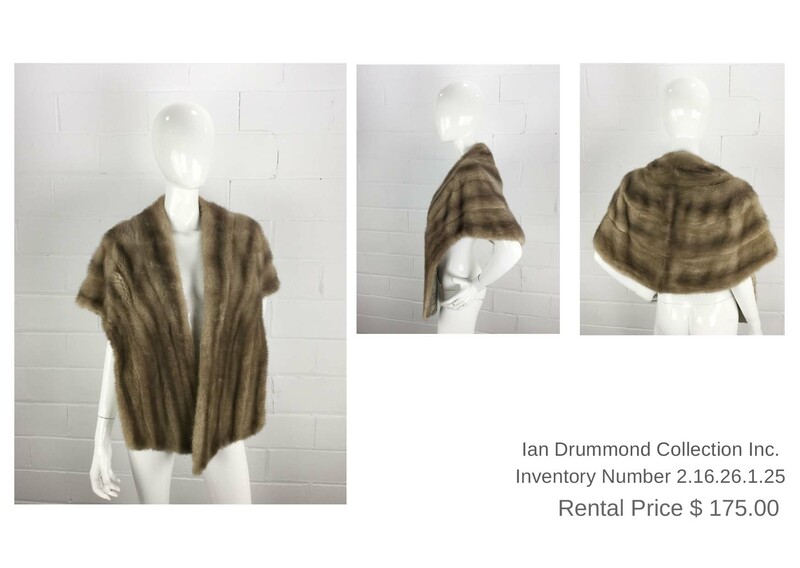 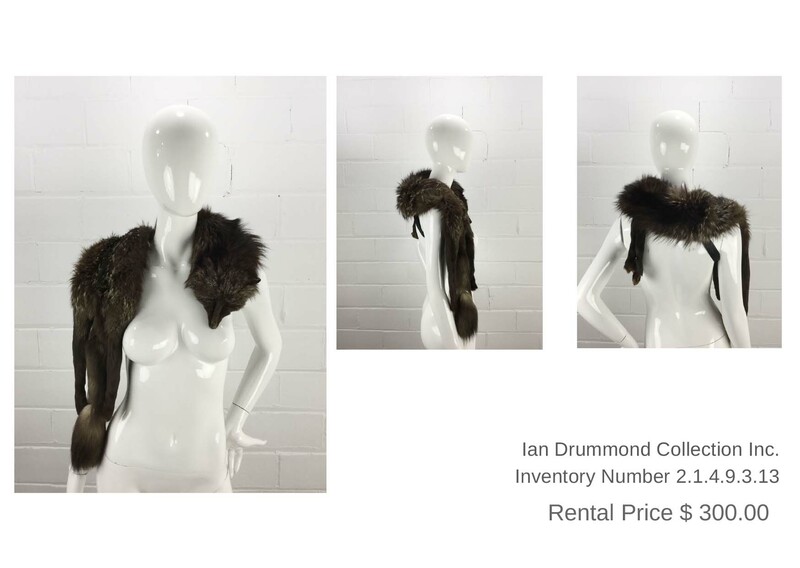 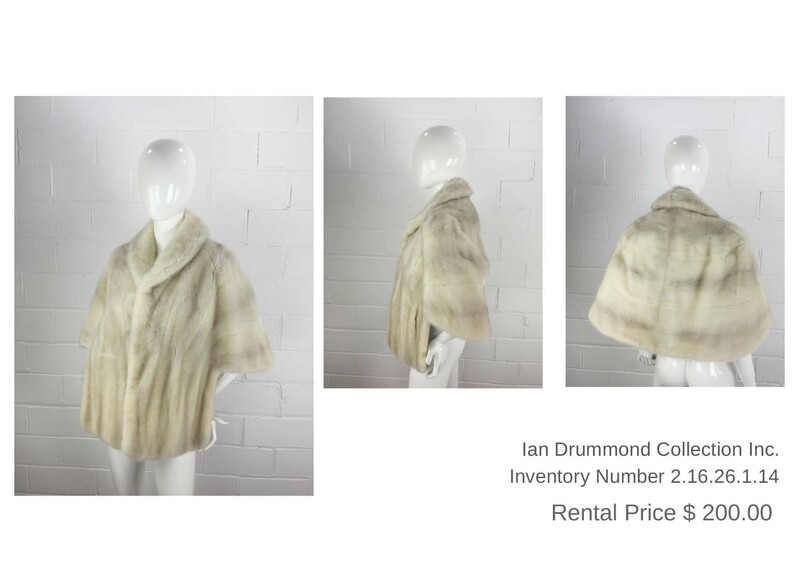 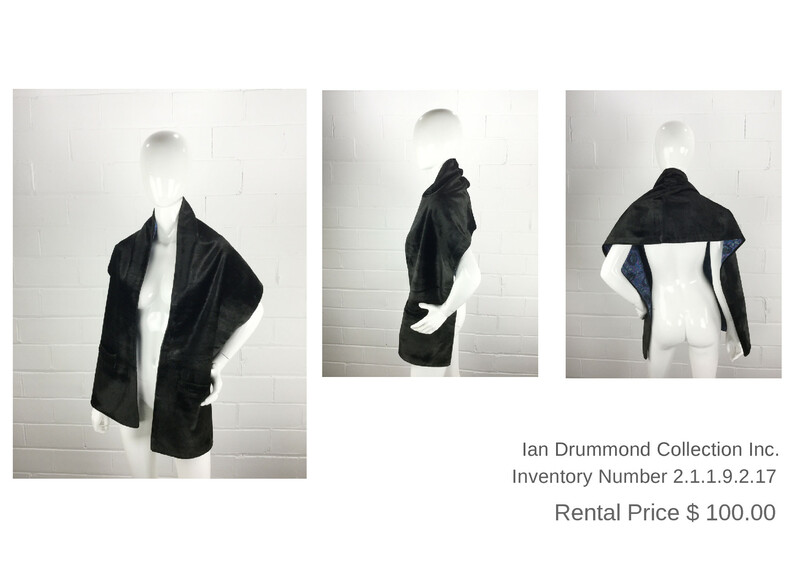 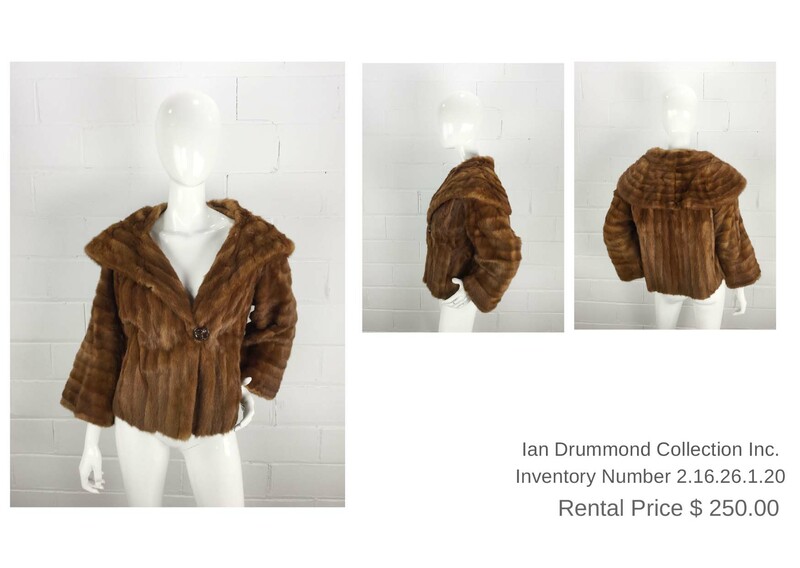 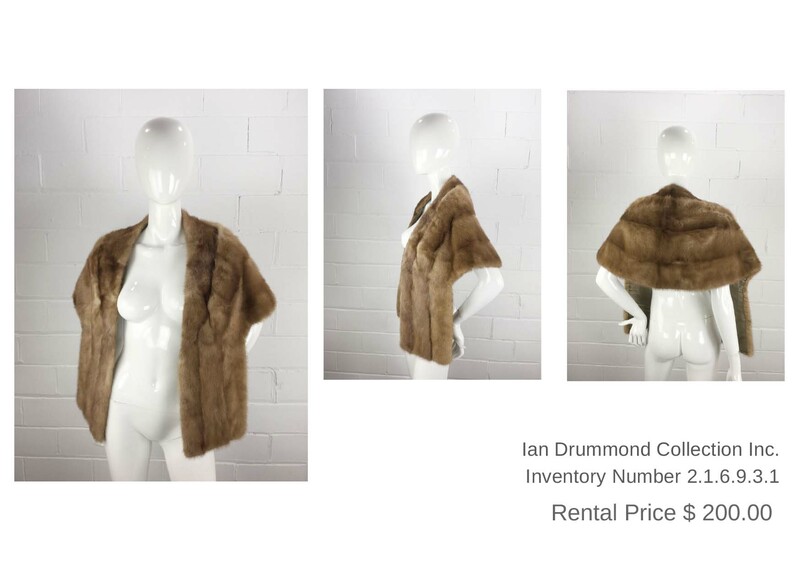 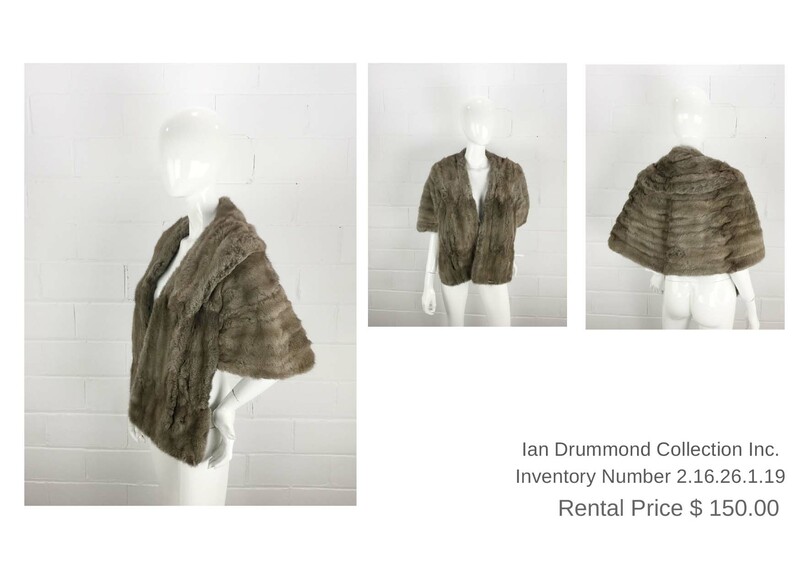 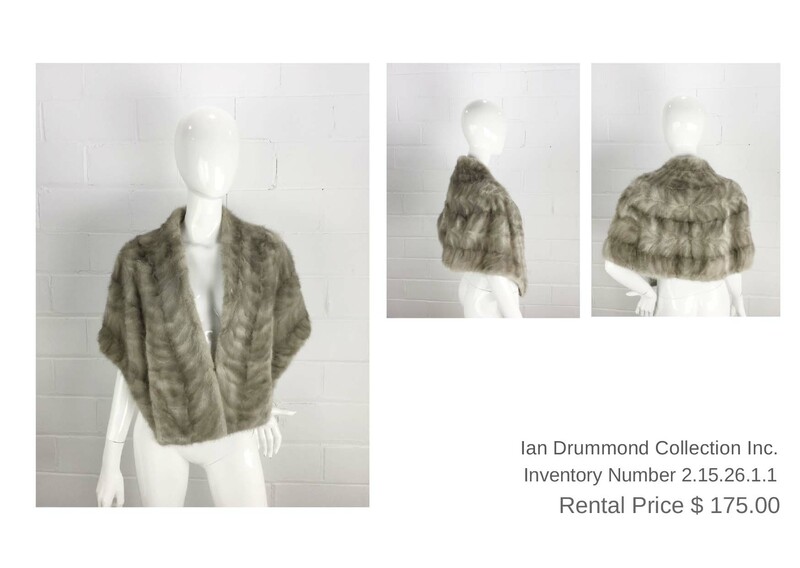 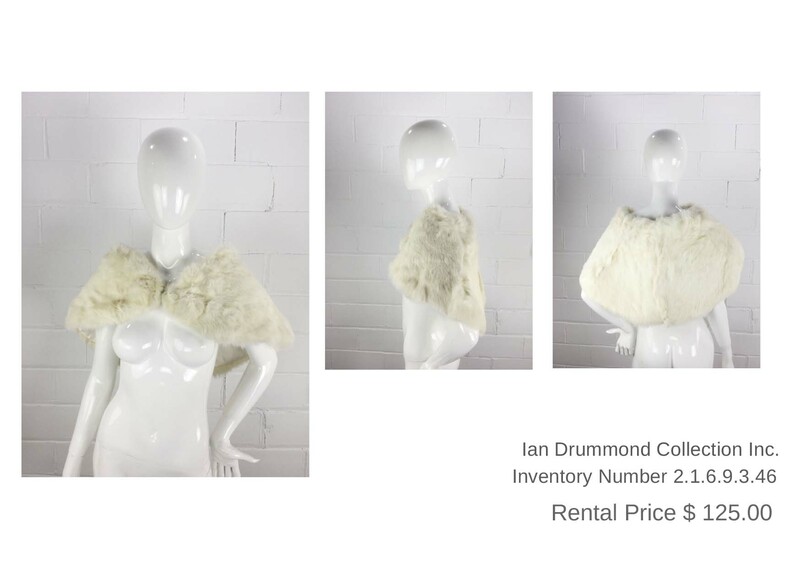 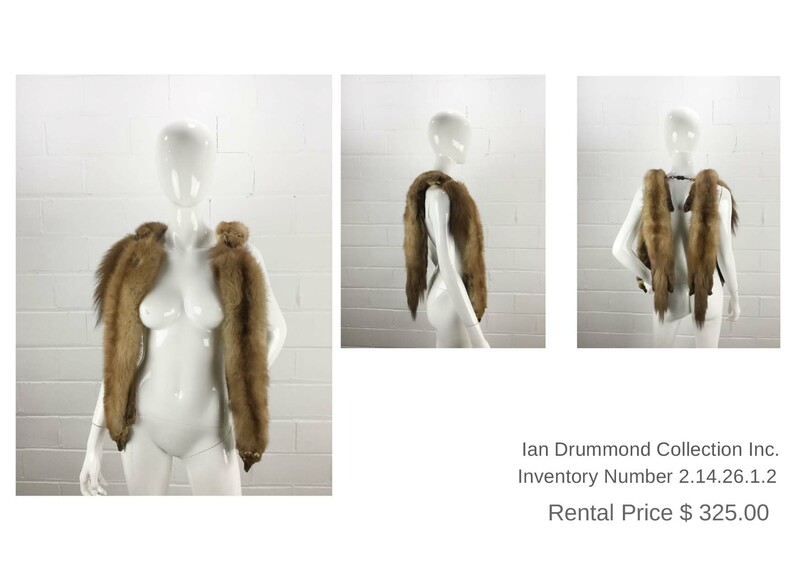 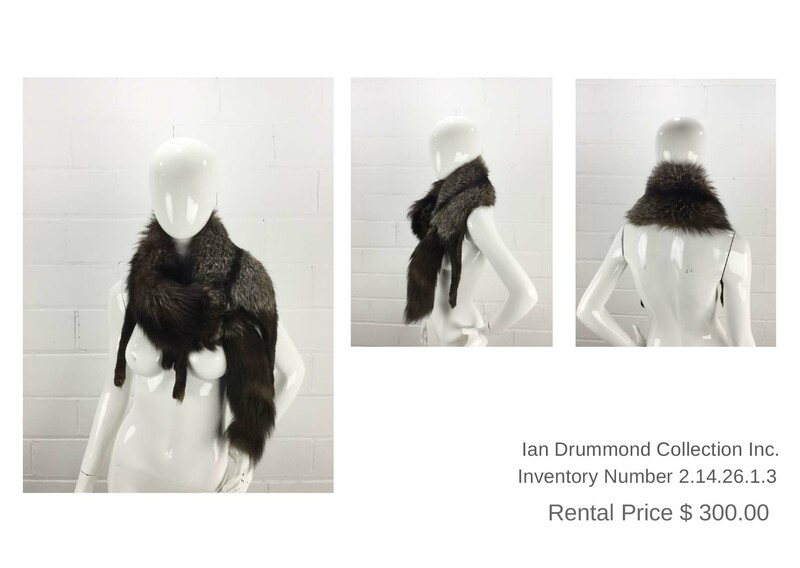 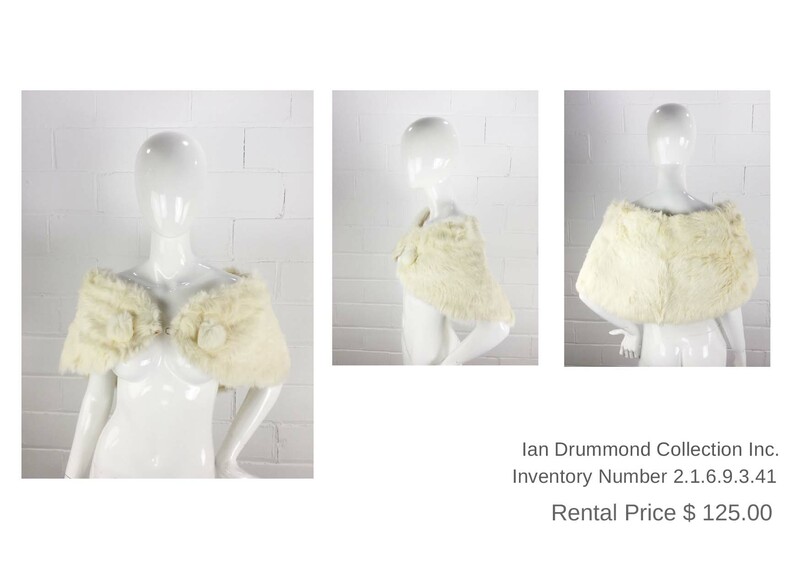 Ian Drummond Collection has received so many requests over the years to make our vintage furs available for engagement photos, weddings and special events. 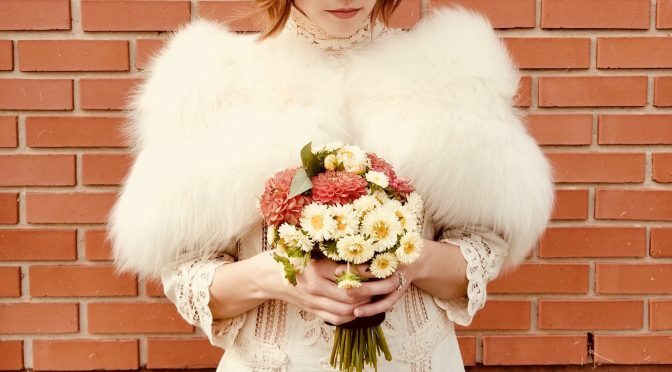 It’s our pleasure to accommodate! 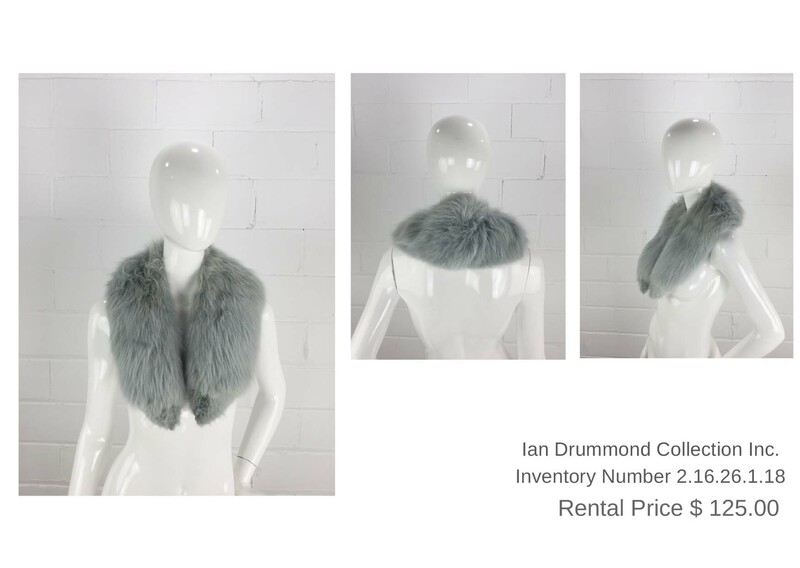 See below for just some of the furs available, and click this link to see the Terms and Conditions of Rental. 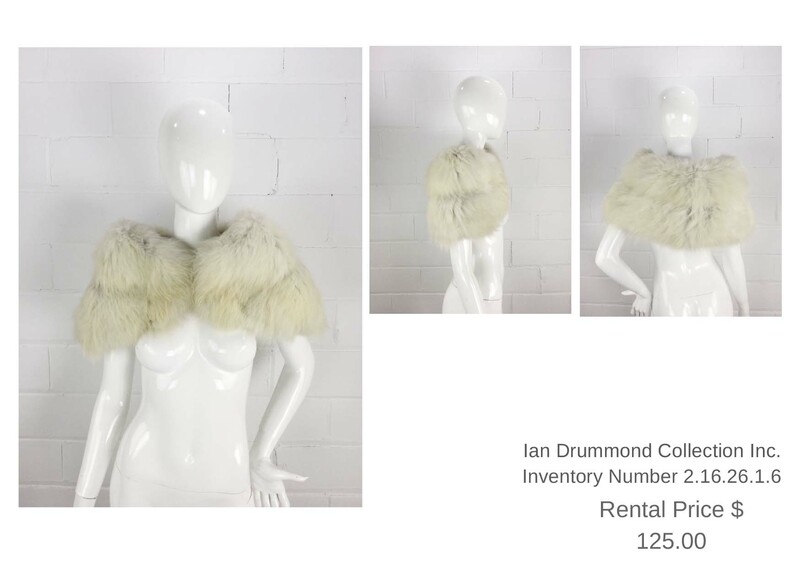 Please email us with an idea of what you’re hoping for – or use the inventory number if you’ve found something you love, and the date of your event. 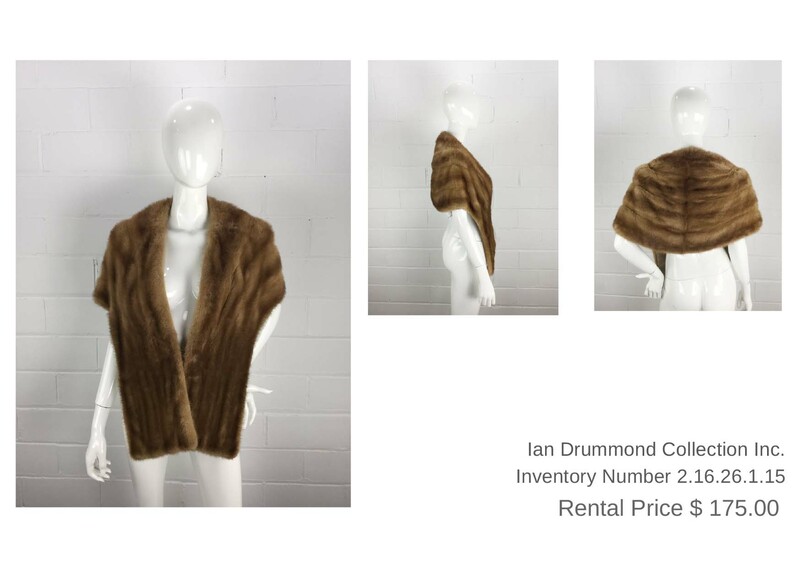 We’ll get back to you within two business days to make arrangement for an appointment in the studio. 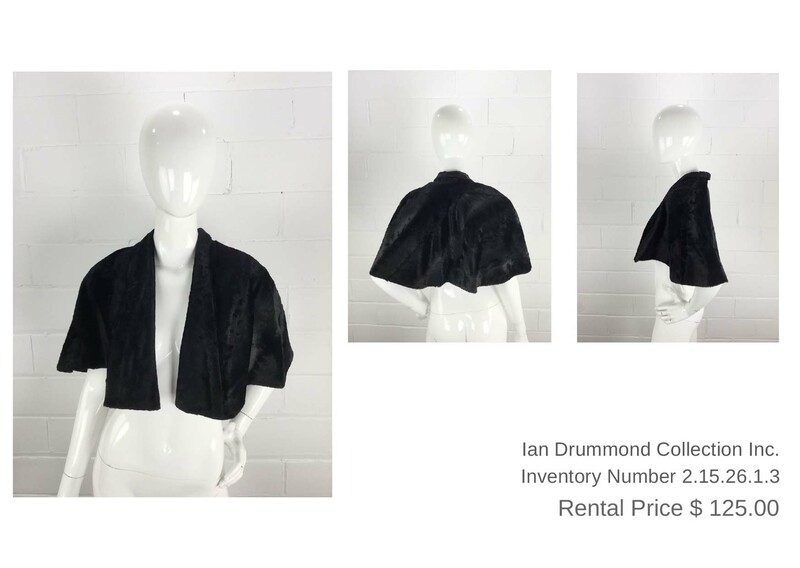 Please remember that we’re a working studio for film and television productions, and will do our very best to meet your needs, but items may be unavailable due to production rentals or prior reservations.